This family-run hotel in the Lahe district of Hanover offers a green location, good transport connections, and free parking. Quiet rooms and 2 restaurants await you here. The 3-star Best Western Hotel Der Föhrenhof offers brightly decorated, modern rooms with black-out curtains. The hotel's Estragon restaurant serves Mediterranean food. Traditional German cuisine is available in the Bierstube. 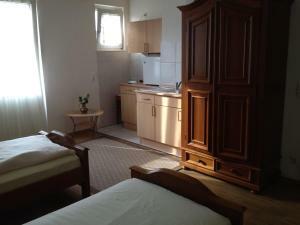 Other facilities include the elegant Kaminzimmer with open fireplace. Coffee and cake are served on the terrace during the summer. Free parking spaces are available at the Best Western Hotel Der Föhrenhof. Guests are welcome to use the free rental bikes. Several walking and cycle paths are located nearby. The GHOTEL hotel & living is located in the Kleefeld district of Hanover, just 4 km from the city centre. It offers modern rooms, an international restaurant and free parking. All rooms at the GHOTEL Hannover include a modern bathroom, Sky TV channels and free WiFi. The GHOTEL hotel & living’s restaurant offers a large breakfast buffet and international food. During summer months, drinks and meals are served on the outdoor terrace. Guests are welcome to use the GHOTEL’s sauna. Kleefeld S-Bahn (city rail) Station is just a 10-minute walk from the GHOTEL. From the motorway Dortmund-Berlin (A2) and the motorway Hamburg-Kassel (A7) you can comfortably reach the hotel. The hotel is only 5 walking minutes from the central station. Take the S-Bahn direction "Aegidiontorplatz" and get off at "Thielenplatz / Schauspielhaus". From here, you can likewise reach the hotel in only a few walking minutes. Situated in the Lahe district of Hanover, this 2-star hotel offers modern accommodation and great links with the A2 motorway, just 10 km away from the city centre. The B&B Hotel Hannover’s spacious and comfortable rooms are equipped with en suite bathrooms, air conditioning, free Wi-Fi internet access and a TV with Premiere (satellite) channels. Furthermore, family rooms are available for groups of up to 4 people. Start your day with the B&B Hotel Hannover’s tasty breakfast buffet, which is served each morning in the cosy breakfast room (a small fee applies). The Expo 2000 exhibition grounds and Hanover Airport can both be reached in approximately 15 minutes by car. Drivers will appreciate the hotel’s free parking spaces. 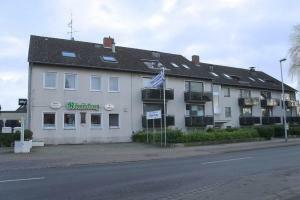 This hotel enjoys a convenient location and great road and public transport connections here in Laatzen, to the south of Hanover. Come here to savour the warm hospitality and let yourself be captivated by the unique ambience of this hotel. The hotel offers some surprising touches and manages to successfully combine elegant charm with modern comfort. This family-run hotel and restaurant is situated in Hanover’s district of Döhren, just a short drive from the heart of the city and the exhibition grounds. For more than 20 years, the Hotel & Restaurant Bei Hölzchen has spoilt its guests with its cosy accommodation, hearty regional cuisine and friendly atmosphere. Take advantage of the rooms’ WLAN access, or attend to business in the nearby city centre. The hotel’s tranquil green surroundings and beer garden are ideal for relaxing after a busy day. As a guest of the hotel, you are entitled to use the Aqua Laatzium wellness facilities for free. This hotel is very centrally located in the heart of Old Town of Hanover, the regional capital of Lower-Saxony, close to all the main sights and shopping areas, and just a 10-minute walk from the main railway station. The Hanns-Lilje-Haus offers comfortable rooms as well as modern, state-of-the-art conference facilities. This is normally the congress venue for the Protestant-Lutheran church in Hanover. You can hold your business events in up to 6 different conference rooms, ranging in size from a small seminar room to a lecture hall seating 80 guests. The in-house club room, Harfe, is a popular place to relax and wind down after a successful day’s work. All guests here enjoy free wireless internet access throughout the whole hotel. Offering free parking and direct public transport links to Hanover’s city centre and exhibition grounds, this hotel offers modern bedrooms with free wireless internet access. A popular address among international guests, the Tyros Hotel is well served by S-Bahn and underground services. In addition, a tram stop lies just a 3-minute walk away. The congress centre, main railway station and the motorway can be reached with ease from here. In addition to German and English, the hotel’s attentive personnel also speak Arabic. - The Hotel Savoy is located opposite the church. 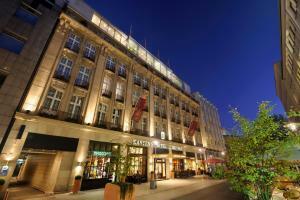 The Hotel Savoy Hannover is within walking distance of the main train station. Please refer to Google maps for directions. Situated just 2 S-Bahn stops from the main railway station, this hotel in the Linden-Süd area of Hanover offers easy access to the AWD Arena and the city centre. The comfortable rooms at the Hotel Ahrberg Viertel include cable TV and desk. Some also feature a balcony. Trams and S-Bahn trains lie within walking distance of the hotel, allowing you to explore the sights of the city with ease. The exhibition grounds are also just a short journey away. This hotel offers soundproofed rooms, free internet terminals and a 24-hour bar. It is located in the Vahrenwald district of Hanover, a direct tram ride from the main train station. The air-conditioned rooms of the Hotel Ibis Hannover City include satellite TV, a work desk and Wi-Fi access. A private bathroom with hairdryer is provided.Wi-Fi is free in the lobby. A large breakfast buffet is available from 04:00 until 12:00. German and international meals are served in the Hopfen & Malz restaurant each evening. Snacks and drinks are available at the Hotel Ibis’s bar at all times. Hotel Ibis Hannover City is a 2-minute walk from the Dragonerstraße tram stop. It has a private car park and is a 20-minute drive from Hanover Trade Fair. This quiet hotel offers free parking and free Wi-Fi. 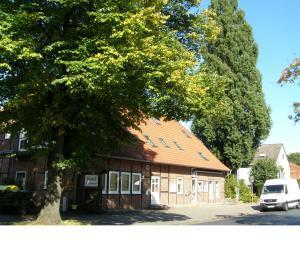 It is located in the western Badenstedt district of Hanover, a 15-minute tram ride from the city centre. All rooms at the Hotel Kischer's Landhaus include a TV, minibar and bathroom with hairdryer. All areas are non-smoking. A breakfast buffet is provided each morning. Regional and international food is served in Kischer's restaurant or outside on the terrace. Guests can choose from a wine list and a special mineral water menu. The Eichenfeldstraße tram stop is a 2-minute walk from Kischer's Landhaus. Free Wi-Fi, free private parking and satellite-TV channels are offered at this hotel in Hanover's southern Laatzen district. The Hanover Messe exhibition centre is 3.5 km away. The Messe Motel Laatzen has modern rooms, each with a private bathroom and private entrance. Each morning, a breakfast buffet is prepared in the breakfast room at the Messe Motel. The Hanover Messe exhibition grounds can be reached in 10 minutes by car. Hanover city centre is less than a 20-minute drive away. This hotel offers rooms with flat-screen TVs and free Wi-Fi. It stands beside the Volkswagen Factory in Hanover, a direct tram ride from the main train station and Hanover Trade Fair. Hotel Mecklenheide provides free parking spaces. The Grüner Ring bicycle path is just a few metres away. The Mecklenheidestraße Tram Stop is directly opposite the Hotel Mecklenheide. A bus runs directly to Hanover Airport in 30 minutes. Just 1.5 km from the University of Hanover and the Herrenhausen Gardens, this traditional hotel is located in the Linden-Nord district. It offers classic-style accommodation with flat-screen TVs. Featuring solid wooden furniture and soft lighting, Hotel Meyer’s bright rooms come with minibars and private bathrooms with showers. Some rooms also offer free Wi-Fi access. A breakfast buffet is prepared each morning in the Meyer’s lounge. Many restaurants can be reached on foot. Hotel Meyer is just a 2-minute walk from the Leinaustraße Tram Stop. The Apollo Cinema is also a 2-minute walk away, and is Hanover’s oldest cinema. Hotel Lindenhof provides free parking and free Wi-Fi. It is a 12-minute train ride from Hanover Central Station and a 15-minute drive from Hanover Trade Fair. The Lindenhof’s spacious rooms include private bathrooms and TVs. Bornum S-Bahn Station is a 7-minute walk away, providing a direct connection to the city centre. Just 600 metres from Maschsee Lake, this hotel offers free Wi-Fi and free private parking. It is a direct tram ride from Hanover city centre and Hanover Trade Fair. The individually furnished rooms of the Pension Leipziger Hof feature cable TV and a radio alarm clock. Each room has a private bathroom with shower. The Leipziger Hof provides a breakfast buffet each morning in its cosy breakfast room. 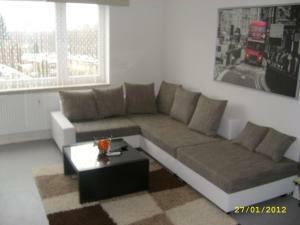 There is also a cosy lounge area where guests can watch TV. Guests can enjoy walking and cycling around the surrounding lakes and fields. Water sports are possible at Maschsee Lake. 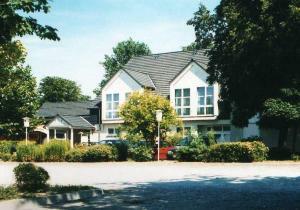 Pension Leipziger Hof stands beside the Südschnellweg express road and is 10 minutes from the A7 motorway. Fiedelerstraße Tram Stop is an 8-minute walk away. This hotel is just 800 metres from the Hanover Messe Exhibition Centre and TUI Arena. It offers free Wi-Fi, soundproofed rooms with cable TV, and free private parking. A full buffet breakfast can be booked at the Hotel NEAR BY. Guests can enjoy free tea and coffee during the reception's opening hours. The classic-style rooms at the NEAR BY all include a desk and telephone. The private bathroom includes a hairdryer and free toiletries. Hanover’s historic Old Town is a 20-minute drive from Hotel NEAR BY. Guests can go sailing on Lake Maschsee, a 10-minute drive away. 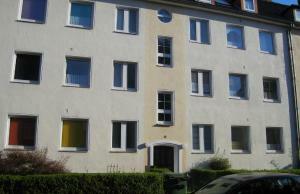 NEAR BY Hotel is just a 15-minute walk from Laatzen S-Bahn Train Station. This provides a connection to Hanover Central Station in 20 minutes. Quietly located in the Bothfeld district of Hanover, this 4-star hotel offers modern wellness facilities as well as rooms with original décor, free Wi-Fi internet, and Sky TV. Hanover city centre is a 20-minute drive away. Each room at Hotel Viva Creativo is inspired by a unique theme, such as the l'amour toujours, art, Paris or a Volkswagen Beetle. Guests receive 2 drinks and 1 snack from the minibar for no extra charge. Light Mediterranean meals are served in the neighbouring Restaurant La Vivezza. Guests can relax on the sunny terrace with views of the orchard, and visitors also receive a free welcome drink. Other free facilities at the Viva Creativo include daily newspapers and DVD rental. The Viva Creativo is just a 3-minute drive from the A2 and A7 motorways, and offers quick access to the Hanover Trade Fair via the A37 motorway. Free parking is available outside the hotel. 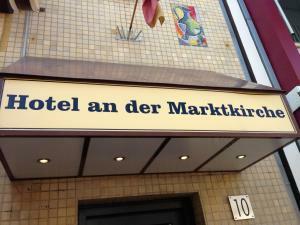 This hotel is in the centre of Hanover, a 10-minute walk from the bus station and main railway station. It offers free Wi-Fi, good public transport links and free private parking. The rooms at the Hotel Harmony are bright and spacious. All rooms have a TV and bathroom. The Hotel Harmony is close to many tram stops. The nearby railway station offers a direct connection to Hanover Airport and the Hannover Messe (Hanover trade fair). Hotel Harmony is a short walk from Hanover University and the Georgengarten park. Located at different addresses in Hanover, these private apartments feature fully equipped kitchens. Free parking, restaurants and supermarkets are within a 5-minute walk of all apartments. The homelike apartments at BS Business Travelling also include cable TV, and some have free Wi-Fi. Each apartment has a bathroom with shower or bathtub, and bed sheets and towels are included in the rate. Breakfast can be ordered through BS Business Travelling. The agency can also organise a shuttle to/from Hanover Trade Fair and Hanover Airport. Staff can provide local information so you can make the most of your stay in Hanover. 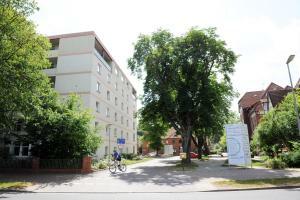 Offering free parking, these privately run apartments are located at different addresses in Hannover. Breakfast can be delivered to the apartments, and a shuttle service is available. The home-style BS Business Travelling Apartments are individually decorated, featuring a separate living room with cable TV. Most rooms have free Wi-Fi. Each apartment has a fully equipped kitchen with a microwave and tea/coffee maker. Supermarkets and restaurants can be found within a 5-minute walk of all apartments. BS Business Travelling can provide local area information, and arrange a shuttle service to Hannover Trade Fair and Hannover Airport. Direction "Messe" (A37) to Pferdeturmkreuzung. At the traffic lights turn right (follow "Zoo"); at the next traffic lights, right to Zoo then turn left into Fritz-Behrens-Allee. Exit "Hannover Messe" via the quick route Messe-Schnellweg (ca. 14 km) and continue straight on; at the sign "Pferdeturm 1000 m" please stay in the right lane and exit; drive until the traffic lights (do not drive into the tunnel) and turn left. At the next traffic lights turn right to Zoo and turn left at the lights into Fritz-Behrens-Allee. At the first opportunity turn left and immediately again right into Hindenburgstraße. Exit "Hannover-Buchholz" and travel in the direction Hannover Misburg - Hannover Messegelände to Pferdetrumkreuzung, turn right at the traffic lights towards Zoo and turn left at the lights into Fritz-Behrens-Allee. At the first opportunity turn left and immediately again right into Hindenburgstraße. Exit "Hannover-Nord" (Vahrenwald, Langenhagen) towards Zentrum-Hannover, Vahrenwalder Strasse to the end (ca. 4 km) – At the fork, left (Hamburger Alle) and after the 1st big traffic light junction, after the bridge, take a left at the 2nd traffic lights. Take a right and an immediate left into Hindenburgstr. 128 (Peiner Strasse) or 134 (Bus-Depot-Süd). Exit at "Friedenstrasse". Offering free Wi-Fi, local cuisine, and good road connections, this 4-star design hotel in Hanover is 3 km from the city centre and 8 km from the Messe exhibition grounds. Hotel Amadeus features terracotta floors and mosaic décor. All rooms include contemporary-style furniture, satellite TV, and a bright bathroom. Daily breakfast buffets are available at the Amadeus. The restaurant has a show kitchen, and serves international meals as well as regional specialities. The bar is open 24 hours a day. The Westschnellweg route is beside the Hotel Amadeus. It provides easy access to destinations including the Hanover State Opera and Hanover Airport. Public parking spaces are available outside the Amadeus. This family-run hotel is situated in the heart of Laatzen-Grasdorf, just a few minutes from Hanover's exhibition grounds on the edge of the pretty nature preservation area of Leinemasch. 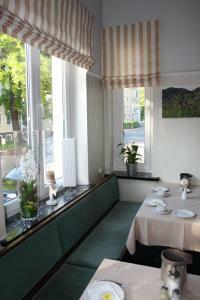 The Hotel Haase offers modern and comfortable guest rooms and a restaurant serving good German cuisine. Leinemasch is ideal for walks, jogging, Nordic walking (equipment available for rental upon request), swimming and cycling. Hotel-owned, free parking spaces are available for guests. The modern AquaLaatzium swimming pool with a spa and sauna section is just 1 km away. Gleidingen Golf Course with its 27 holes is 5 km away. Offering fine German cuisine and soundproofed rooms with free minibar, this historic, 4-star hotel stands opposite Hanover Central Station, just a few steps from the Ernst-August-Galerie shopping mall. All rooms at the family-run Central-Hotel Kaiserhof include satellite TV, a high-quality bed, and a bathroom with marble washbasin. The free minibar is refilled every day. A free internet terminal is provided in the Kaiserhof’s lobby. Wi-Fi access is available in all rooms free of charge. Coffee and cake is offered every afternoon at the Bar Centrale, which features daily live piano performances. Meals are also available here throughout the day. International dishes, regional meals, and fine wines are served in the Brunnenhof restaurant with large terrace. The Central-Hotel Kaiserhof is within a 3-minute walk of Hanover’s theatres and operas. Hanover Trade Fair, the TUI Arena and Hanover Airport can all be reached in about 15 minutes by train. This 3-star hotel in Hanover city centre offers modern rooms, varied breakfast buffets, and free use of local public transport. The main train station is an 8-minute walk away. 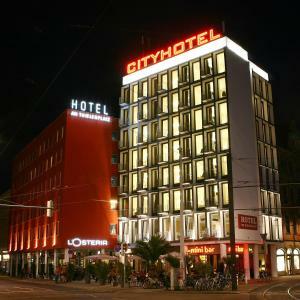 All of the well-equipped rooms at the City Hotel Hannover feature satellite TV and free Wi-Fi via hotspot. Some rooms have a balcony. Hanover Airport can be reached in less than 20 minutes from the nearby Hauptbahnhof (main train station). The famous Ernst August brewery is just 30 metres away from the City Hotel Hannover. 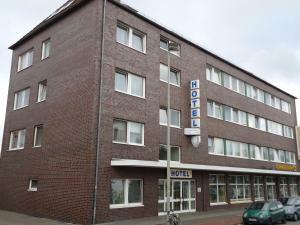 This hotel is in the Laatzen district of Hanover, 300 metres from the Hannover Messe Exhibition Centre. 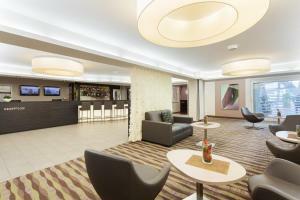 It offers 24-hour service in the spacious lobby and bar and free WiFi access. The rooms of the Pro Messe Hotel Hannover all include satellite TV, a desk and bathroom. A breakfast buffet is available in the Pro Messe Hannover from 06:00 to 10:00 each morning. An evening buffet is served during trade exhibitions. Hannover Messe/Laatzen Train Station is 50 metres from the Pro Messe-Hotel Hannover. The A7 and A37 motorways are nearby. This hotel is situated amid beautiful green scenery in the centre of Hanover, between the New Town Hall and the Maschsee and Maschteich lakes. The 4-star rooms and 5-star suites are spacious and air-conditioned. Renovated in 2012, the non-smoking rooms and suites at the Courtyard by Marriott Hannover Maschsee include a modern bathroom and high-speed internet access for a fee. They offer views of the Maschsee Lake or the HDI Arena. Julian's Bar and Restaurant offers international food, colourful cocktails and more. In summer months, drinks and meals are served on the outdoor patio with its views of the lake. The Courtyard by Marriott Hannover Maschsee also includes a business centre with fully equipped workplaces, and the cosy Corner Lounge offers a cinema corner and a 57-inch touchscreen with information for guests. Other amenities include a 24-hour shop, a small library, gym and a laundry service. This Mercure hotel in the quiet Stöcken district of Hanover offers free private parking, large rooms and a modern fitness centre. Hanover city centre is just a 15-minute drive away. Every room at the non-smoking Mercure Hotel am Entenfang Hannover has satellite TV and Wi-Fi internet. Guests also receive a free bottle of mineral water on arrival. A large breakfast buffet featuring regional specialities is available each morning at the Mercure. The lobby bar features a stylish lounge area, and serves international drinks and small snacks. Free leisure facilities at the Mercure Entenfang include a sauna, a steam room and a 24-hour gym. Ledeburg S-Bahn (city rail) Station can be reached in about 10 minutes on foot. Offering a free swimming pool and sauna, a garden, and free Wi-Fi, this hotel lies beside the Stadtwald Eilenriede forest. The Hanover Congress Centre is a 5-minute drive away. The Hotel Grünewald has modern rooms with cable TV, a telephone, and a private bathroom. The Grünewald provides rich breakfast buffets featuring fresh fruit. Guests can also relax in the traditional cellar bar. Different restaurants can be found nearby. Free rental bicycles are available at the Grünewald. The hotel also offers table tennis facilities. The Vier Grenzen tram stop is a 2-minute walk from the Grünewald Hotel. Trams run to Hanover Train Station in 8 minutes. The Messe exhibition centre can be reached in 25 minutes by public transport. Parking is free at the Hotel Grünewald. Just a 2-minute walk from Steintor Underground Station, Hotel City Panorama is a 20-minute train ride from Hanover Messe Trade Fair. Rooms offer free Wi-Fi and a flat-screen TV. A seating area, work desk and private bathroom are features in all the rooms at Hotel City Panorama. Free tea and coffee is also provided. Guests can go out for meals at any one of the many restaurants and cafés located within a 5-minute walk of the hotel. Hotel City Panorama is only 600 metres from Hanover Main Station, and 500 metres from the Marktkirche Church. The historic Herrenhausen Gardens are 2 km away. CONZEPTplus Private Rooms near Exhibition Centre features a variety of modern rooms located in family homes. All rooms have easy access to Hannover Messe Exhibition Centre. Rooms complete with a seating area and shared bathroom facilities. Bed linen and towels are included, and some also offer internet access. Restaurants, bars and supermarkets are located within walking distance of all the rooms. A shuttle service to Hannover Trade Fair is also available for an extra fee. Free public parking can be found nearby the rooms. All rooms with CONZEPTplus Private Rooms near Exhibition Centre are within walking distance from a tram stop. A shuttle service to/from Hannover Airport is available for a fee. Just 400 metres from Hanover Central Station, this 4-star-superior, non-smoking hotel offers free spa facilities, an award-winning restaurant, and stylish rooms with flat-screen TVs and hot drinks facilities. 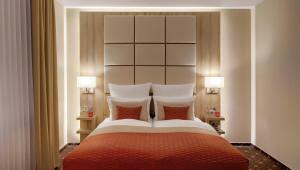 The Crowne Plaza Hannover Schweizerhof provides elegant rooms with air conditioning. International specialities are served in the Crowne Plaza's restaurant with separate smoker's lounge. During summer months, the delightful terrace is a great place to dine. A range of drinks and snacks are available in the lobby bar. Live sporting events are shown on the large TV here. Guests can use the gym for free in the modern Beauty & Wellness centre. There is also a sauna and steam room. A range of spa treatments can also be booked. 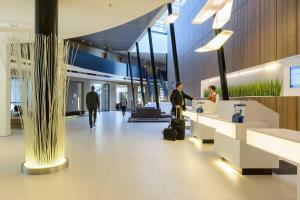 Wyndham Hannover Atrium offers modern rooms, 3 restaurants and a spa centre. It is located in the Groß-Bucholz district of Hanover, just a 10-minute drive from the Hanover Messe Trade Fair. All rooms at Wyndham Hannover Atrium have a modern bathroom, satellite TV and WiFi. Guests can choose between German and international food in the Ambiente, Gourmet Stüberl and Wintergarten restaurants. The Wyndham’s bar offers a variety of drinks, from cocktails to draught beer. The spa centre at the Wyndham Hannover Atrium includes a sauna, a spa bath and a fitness room. Massages can also be booked here. The hotel is adjacent to the International Neuroscience Institute and the MHH Medical Park. Free parking spaces are available at the Wyndham, and Hanover city centre is just an 8-minute drive away. Located directly at Hanover Trade Fair and the TUI Arena, this 4-star-superior hotel offers free Wi-Fi throughout, free parking, and a free pool and gym. There are 3 on-site restaurants. A range of spacious rooms with bright décor await at the Best Western Premier Parkhotel Kronsberg. Each room features blackout curtains and a choice of pillows, for a comfortable night’s rest. The Hofgarten restaurant provides a large breakfast buffet. German and international meals are served in the Witwe Bolte and Gutsherrenstube restaurants, or in the beer garden. Guests can use the Parkhotel Kronsberg’s sauna and steam room for an additional charge. Further relaxation is offered by the bar and lounge. Messe/Ost Tram Stop is a 5-minute walk away, providing a direct connection to Hanover Central Station and the city centre. The B6 road is just seconds away by car, and the hotel also offers rental bicycles. This family-run, 4-star hotel in Langenhagen offers cottage-style rooms, a wellness area, and easy access to the A352 motorway. 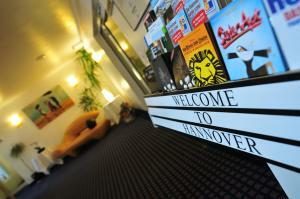 It is a 5-minute drive from Hanover Langenhagen Airport and Wi-Fi is free of charge in the entire hotel. All rooms at the Jägerhof are decorated in a traditional design and feature a minibar and a satellite TV. Guests are welcome to use the Jägerhof's sauna and fitness room. Massages are also available. The Jägerhof's restaurant serves traditional cuisine. In the evening, drinks are available at the bar. The outdoor terrace is open in warm weather. Guests at the Jägerhof can explore Langenhagen town centre and the nearby Steinhuder Meer nature park. Hanover city centre is only a 20-minute drive away. Set in various locations in Hanover, rent-a-stay offers comfortable apartments close to the exhibition grounds and the city centre. Free transfers from Hanover Airport and Hanover Central Station and free Wi-Fi is available in some. All apartments at rent-a-stay feature separate bedrooms, a living room, and have a fully equipped kitchen. The apartments each boast convenient public transport connections. The fridge is stocked with basic food for the arrival of guests, and a number of restaurants are within a 10-minute walk of the apartments. Free private parking is available on site at the apartments. 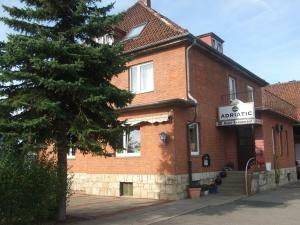 These short-stay rooms are located in different homes in Sarstedt. They offer easy transport links to the Messe Hannover exhibition centre, just 11 kilometres away. 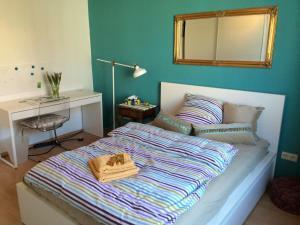 The Privatzimmer in Sarstedt provide a variety of rooms with shared bathrooms on the same floor. Continental breakfast is provided here for an extra fee. The Sarstedt rooms are all close to the A2 and A7 motorways. An S-Bahn (city rail) or U-Bahn (underground) station is a 15-minute walk from each address. The Messe exhibition grounds are a 25-minute journey away. Peacefully located by the Mittelland Canal, this small, family-run hotel in Hanover offers country-style rooms, free bicycle rental and fresh, homemade bread. Hanover city centre is a 10-minute drive away. Elegant wooden paneling, a cable TV and a work desk with telephone are all featured in the Hotel Finkenhof’s individually furnished rooms. A rich and fresh breakfast buffet awaits guests each morning in the breakfast room. Drinks are available at the on-site vending machine. Free Wi-Fi throughout the hotel and free on-site parking are available for guests staying at the Finkenhof. Hanover Central Station is 6 km away. The A2 and A37 motorways are a 5-minute drive from the hotel, offering good connections across the Lower Saxony region. These private houses normally belong to private families and are distributed across Hannover. All provide guests with a terrace, a living room and a fully equipped kitchen. A shuttle service to/from Hannover Airport is available for a fee. 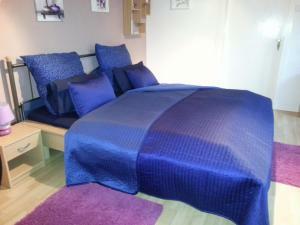 Bed linen and fresh towels are included in each house. Each individually furnished home comes with satellite TV, sofas and a work desk. The private bathroom offers toiletries, bathrobes and a hairdryer. Some include free Wi-Fi. All private homes offer easy access to the Hannover Messe Exhibition Centre and Hannover city centre. Each one is within walking distance of a range of restaurants, bars and supermarkets. 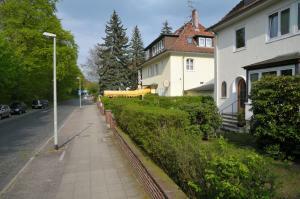 Free parking is available at a location nearby all houses by CONZEPTplus Private Houses Hannover. Hannover city centre and Hannover Messe Exhibition Centre can be easily reached from all properties. Just 4 km from Hanover Airport, this Best Western in Langenhagen offers soundproofed rooms, free Wi-Fi, and creative German cuisine. Langenhagen Mitte Train Station is 800 metres away. The 3-star-superior Best Western Nordic Hotel Ambiente has colourful rooms and apartments with satellite TV, a minibar, and a safety deposit box. The hotel offers a Scandinavian breakfast which includes northern specialities. Steaks, seasonal specialities, and varied salads are served in the Ambiente’s EssKultur restaurant, and the bar features a cosy fireplace. Guests are welcome to use the free internet terminal in the Nordic Ambiente’s lobby. The reception is open 24 hours a day. Private parking is available at the Best Western Ambiente on request. Hanover city centre is less than 15 minutes away by car. Centrally located 300 metres from Hanover State Opera House, this 5-star-superior hotel offers excellent spa and fitness facilities, fine cuisine, and easy connections to Hannover Messe Exhibition Grounds. Featuring a grand, classic-style façade, the Kastens Hotel Luisenhof Superior offers elegant rooms with a free minibar, Wi-Fi internet and flat-screen TV. Guests enjoy free use of the Luisenhof's gym, overlooking the rooftops of the city. They can also enjoy the sauna, massage service and rental bicycles. A rich buffet is served in the breakfast lounge. The newly opened "MARY's Restaurant" offers gourmet specialities, regional delicacies, and select wines. Cocktails and beers are served at the hotel bar. Hanover Central Station is 250 metres away, offering connections to Messe Hannover in just 15 minutes. The HDI Arena and Sprengel Museum for Modern Art are within a 10-minute drive. 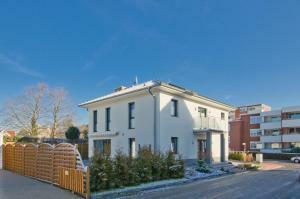 These attractive apartments belong to private families in different parts of Hanover. Guests enjoy a private bathroom, a living room and a fully equipped kitchen. The CONZEPTplus Private Apartments are individually furnished and bathroom, TV and ironing facilities. Bed linen and fresh towels are included in each house at no extra charge. All accommodation also includes a kitchen. Breakfast can also be booked, in which case guests will find the fridge plentifully stocked upon arrival and regularly refilled during their stay. Most apartments are within a 5-minute walk from supermarkets and restaurants. Each apartment offers public parking nearby. Some of the apartments have free WiFi. A shuttle service to/from Hanover Airport is available for a fee. Good public transport connections to Hanover city centre and the Messe Hannover exhibition grounds are available nearby. These apartments belong to private families in different districts near Hannover Messe Exhibition Centre. Guests enjoy a terrace, a living room and a fully equipped kitchen. There a shuttle service to/from Hannover Airport is available for a fee.Bed linen and fresh towels are included in each apartment. The kitchens at the Apartments CONZEPTplus all feature a fridge, kitchenware and dining area. Breakfast can also be booked, in which case guests will find the fridge plentifully stocked upon arrival and regularly refilled during their stay. Several restaurants, bars and supermarkets are within walking distance from each apartment. Free parking is available at a location nearby. This privately run hotel offers large rooms with free Wi-Fi and a 24-hour reception. It stands directly opposite the Neues Rathaus town hall in the centre of Hanover. Each of the non-smoking rooms at the Lühmanns Hotel am Rathaus has its own style. All rooms include a TV and a private bathroom with hairdryer. Fresh beer on tap, fine wines and other drinks can be enjoyed in Lühmann’s Lounge. A breakfast buffet is served each morning with freshly squeezed orange juice. 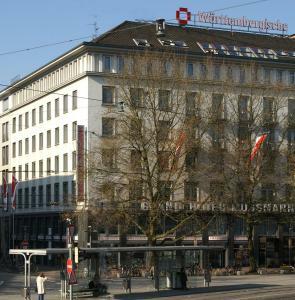 Lühmanns Hotel am Rathaus is a 4-minute walk from the Aegidientorplatz tram stop. It is a 12-minute walk from Hanover Central Station or the AWD Arena. The nearest car park is the Parkhaus Osterstraße (300 metres away). 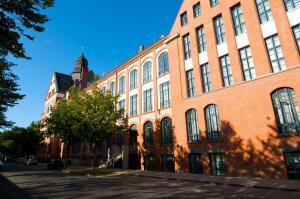 Apartments Hanno-Fair Hannover City offer private rooms and apartments throughout Hanover. They offer easy access to public transport offering connections to the Hannover Messe exhibition grounds. The apartments offered by Hanno-Fair Hannover City (room agency) are normally occupied by families who move out during your stay. 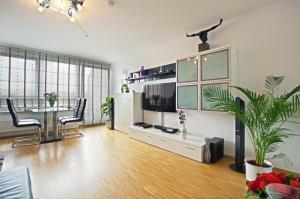 Hanno-Fair Hannover City offers a range of modern, fully furnished apartments. Guests enjoy a private bathroom, a living room and a fully equipped kitchen. Bedding, towels and free Wi-Fi are provided free of charge. Restaurants, bars and supermarkets are within walking distance from each apartment. Public parking is available at a location nearby, charges may apply. Breakfast can be ordered for a fee. The apartments are within 15 km of the Hannover Messe exhibition grounds. Situated close to Hanover Airport, the cosy Hotel Frick offers you homelike accommodation, just a 5-minute walk from Langenhagen-Mitte S-Bahn station. Although the hotel lies just 20 minutes away from the centre of Hanover, it enjoys peaceful surroundings. Trade fair visitors also benefit from good transport links to the exhibition grounds. The hotel offers a traditional restaurant, ample parking and conference facilities for up to 40 guests. Nearby you find plenty of leisure facilities, including a golf course, a swimming pool and a horse racetrack. This hotel is set in the middle of the university district between the impressive Herrenhausen Gardens and Hanover city centre. 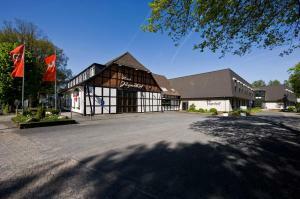 It is located within the Werkhof, the ecological business and conference centre in Hanover’s Nordstadt. All rooms at Schlafgut - Hotel im Werkhof Superior come with a private bathroom and some have a balcony. WiFi is provided free of charge in all areas. The hotel's restaurant serves both local and international dishes. For a surcharge, guests can use the neighbouring fitness studio with sauna, courses, fitness machines and sun terrace. Schlafgut offers quiet accommodation, just 30 minutes from the Hanover Exhibition Grounds. 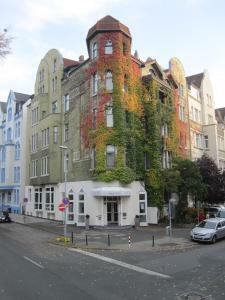 Situated in the Buchholz-Kleefeld district of Hannover, this hotel has been family-run for over 20 years. It offers free Wi-Fi, and Klingerstaße tram stop is just a 3-minute walk away. The homelike rooms at Hotel Eilenriede are individually decorated, featuring cable TV and a private bathroom. A buffet breakfast is served each morning in the bright dining room. A restaurant and a bakery can be found within a 10-minute walk of the hotel. The entrance to Hannover Zoo is a 15-minute walk from the Eilenriede Hotel, and the tram stop provides connections to the city centre. Hannover Exhibition Centre is a 10-minute drive away. The A2 and the A7 motorways are both a 10-minute drive from the hotel. Free public parking is available. This family-run hotel offers an indoor pool, sauna, solarium, computer terminal in the lobby, and free Wi-Fi in all rooms. It is 4 stops from Hanover city centre. All rooms at the Hotel Waldersee are individually furnished and feature antique furniture. A bathrobe is available for free. 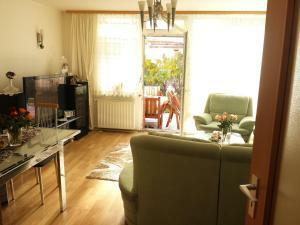 The Waldersee enjoys a quiet location directly opposite the Eilenriede city forest. 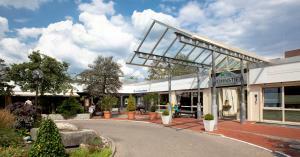 The Hotel Waldersee is 15 minutes by car or 35 minutes by underground train from the Hanover exhibition centre. Table tennis or darts can be played for free at the Hotel Waldersee. With easy access to public transport offering connections to the Messe Exhibition Grounds, Deutsche Messe Zimmer Room Agency (DMZV) has private rooms and apartments throughout the city. DMZV agency offers a range of modern, fully furnished apartments and rooms. Bedding and towels are provided free of charge, and most apartments feature free Wi-Fi. Public parking is available nearby, charges may apply. This 3-star superior hotel in Hanover offers air-conditioned rooms, free breakfast, and free parking. It is a 5-minute walk from the exhibition grounds and 20-minute tram ride from the city centre. The rooms at the Median Hotel Hannover Messe include Sky Cinema channels. Free Wi-Fi is provided in all rooms. A free internet terminal is located in the lobby. A rich breakfast buffet is provided each morning. This service is included in your room rate. The bar offers a TV with Sky Sports. Guests of the Median Hotel enjoy a 20% discount at the nearby aquaLaatzium water park. The A37 motorway is a 2-minute drive away. This family-run hotel is situated in the centre of Hanover in a quiet pedestrian zone. Enjoy evenings in the typically 1920s English pub before a peaceful night's sleep in your cosy room. The rooms at the Hotel an der Marktkirche are equipped with all standard features as well as Wi-Fi internet access for a fee. In the Hotel an der Marktkirche restaurant, look forward to a range of dishes including salads, hearty meat dishes and vegetarian options. When the weather's warm, enjoy dining in the beer garden which is next to the Spielende Kinder (playing children) fountain. Both the train station and the airport motorway connection can be reached in only 5 minutes. The underground train station is only a few steps away, from which you can reach the exhibition centre. This hotel in Hanover is a 1-minute walk from the Capitol concert hall and a 5-minute drive from the Maschsee lake. It offers soundproofed rooms and good transport links. 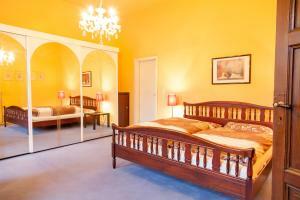 The Hotel Schwarzer Bär provides bright rooms with cable TV and private or shared bathrooms. All rooms have Wi-Fi connections and are served by an elevator. A varied breakfast buffet is available at the Schwarzer Bär every day. The Schwarzer Bär tram stop is a 2-minute walk away. It connects you to the main train station and old quarter in 10 minutes. The Niedersachsen Stadion stadium is just a 10-minute drive from the Hotel Schwarzer Bär. 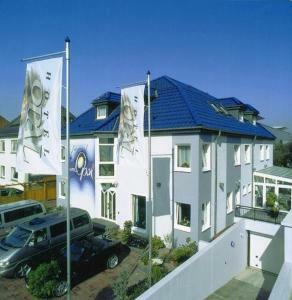 This hotel is located only 9 minutes’ drive from Hannover Messe Exhibition Centre in the quiet neighbourhood of Laatzen. It offers a skittles alley as well as free parking and wifi. Each spacious room at Hotel Erbenholz comes with a refrigerator and a private bathroom. Guests can enjoy the Bavarian specialties and regional cuisine at the hotel’s own restaurant. A breakfast buffet is served every morning. The TUI sports arena is situated 1.5 km from Hotel Erbenholz. Hannover Train Station is 11 km from the hotel and 34 km from the airport. The A7 motorway is 2 km from the hotel. Offering international and fusion cuisine and good transport connections, this elegant hotel is located directly beside Eilenriede City Forest in Hanover. The modern hotel provides unique accommodation in the former Pelikan fountain pen factory from 1906. The hotel offers its guests free use of the Link@Sheraton to stay connected with friends and family. Furthermore, guests can use the Physical Park Fitness center equipped with modern fitness facilities as well as 3 saunas. All rooms and suites at the Sheraton Hannover Pelikan Hotel feature elegant décor, satellite TV, and wired internet access. Each room comes with an ensuite bathroom. Guests can try creative cuisine in the Sheraton Hannover Pelikan Hotel’s 5th Avenue restaurant. Fine cocktails are available at Harry’s New York Bar. The Sheraton Hannover Pelikan Hotel is 200 metres from the Pelikanstraße tram stop, which provides an easy connection to the city centre, Hanover Main Station (only 7 minutes away by tram) as well as the Hanover Exhibition Centre (30 minutes away by S-Bahn). Situated near the centre of Hannover, 1azimmervermietung Hannover is a 10-minute drive from the renowned Royal Gardens of Herrenhausen. Free WiFi is available at the guest house. 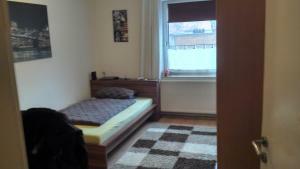 Each of the roomss at 1azimmervermietung Hannover features a satellite TV and a private bathroom. The guest house is also a 10-minute walking distance to a variety of restaurants and bars, and the nearest supermarket is 550 metres away. The picturesque New Town Hall is located a 15-minute drive from the accommodation, and the Old Town with the Marktkirche and Old Town Hall is 4 km away. It is a 10-minute drive to the popular Hannover Zoo. It is 75 metres to the nearest tram stop at Büttnerstraße, which offers direct connections to Hannover Main Station in 10-minutes. There is free private parking at the property. Hotel Hubertus offers spacious rooms, free private parking and excellent road links. Hanover Trade Fair and Hanover Central Station are less than 5 minutes away by S-Bahn train. Each room at the Hubertus includes high-speed internet, a minibar and a TV with satellite channels. Some rooms include extra-long beds. A large breakfast is provided each morning at the Hotel Hubertus in Hanover. Hannover Bismarckstraße S-Bahn Station and the Döhrener Turm Tram Stop are a 10-minute walk away. Hotel Hubertus provides rental bicycles for exploring the Eilenriede Forest opposite. Maschsee Lake is about 1 km away. Set in a timber-framed building, Hotel Alt Vinnhorst is located a 10-minute train or car journey from Hanover Central Station and Hanover Airport. It offers free parking and its very own restaurant. Hotel Alt Vinnhorst is decorated in a modern style and offers both rooms and apartments. They each feature a cable TV and a private bathroom. All guests have use of a light-flooded breakfast area with a TV. Traditional German food and seasonal dishes are served in the hotel's restaurant. The picturesque Royal Gardens of Herrenhausen are 4.6 km from the hotel. The renowned Hanover Zoo is also only a 15-minute drive away. The hotel is a 3-minute walk from Vinnhorst S-Bahn Train Station, which provides direct connections to Messe Hannover exhibition grounds. Hotel Charlton is situated in the centre of Hanover, a 30-minute walk from the Royal Gardens of Herrenhausen. The hotel offers free WiFi access. Each of the rooms at Hotel Charlton come equipped with a satellite TV, seating area and a refrigerator. They also include a private bathroom with slippers. A fresh breakfast buffet is available each morning at the hotel. A large variety of bars and restaurants can be found within a 10-minute walking distance of the accommodation. Hanover Sea Life Centre is 2.5 km from Hotel Charlton, and the New Town Hall is a 30-minute walk away. Hanover Zoo is 3.5 km away. Hanover Main Station is a 20-minute walk from the hotel, and there is free private parking available. Conveniently located just 300 metres from Hannover Messe (convention centre), Hotel Adriatic offers a restaurant, bar, and free WiFi access. Free parking is also available at this family-run hotel. These classically decorated rooms are bright and spacious, with carpeted floors and wooden furnishings. Each room features a desk, TV, and a modern bathroom with shower. A hearty breakfast buffet is provided every morning, and the restaurant serves traditional German and regional specialities. In the evenings, guests can relax in the cosy hotel bar. Popular attractions in the area include Exposeeum (200 m), Park der Sinne (400 m), and Lake Masch (4.5 km). Hannover Messe Train Station is 150 metres from Hotel Adriatic, and the A37 motorway is just 5 minutes by car. Just 4 km from the airport, this hotel on the outskirts of Hanover offers quiet rooms, a cosy restaurant and excellent public transport links with the trade fair and the city. The Hotel Wegner's individually furnished rooms feature all of the standard amenities, such as an en suite bathroom and free Wi-Fi internet access. Free internet access is available in the hotel lobby. Wake up to the Hotel Wegner's rich breakfast buffet (fees apply), which is served in the Restaurant Maxes. In the evenings, you can try German and international dishes here. Enjoy a cold beer in the Wegner's bar, or take some time to relax in the attractive garden. You are also welcome to use the barbecue area. The nearby tram stop provides a fast link to the city centre. Only 15 minutes from Hanover's city centre via the Metro, this modern design hotel is located right next to the lovely Wülfeler Leineauen nature park, just 3 tram stops from Hanover's exhibition grounds. Here at the Designhotel + CongressCentrum Wienecke XI., you can expect bright, soundproofed rooms with all modern amenities. Treat yourself to a delicious breakfast buffet before catching up with your friends via the hotel's Wi-Fi internet access. Both services are available for an additional fee. You can rent bicycles directly from the hotel and explore the area, or simply relax at the Wienecke with a game of table tennis and a drink at the bar. A stylish fitness centre with extensive wellness facilities is also just a 3-minute walk away. The Wienecke's restaurant offers delicious, simple dishes, which you can enjoy on the terrace in fine weather. Make sure to pay a visit to the hotel's friendly bistro and cosy beer lounge. 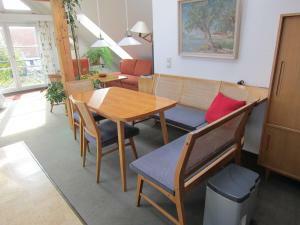 UniRoom Zimmervermittlung Hannover offers free wifi, a terrace with garden and barbecue facilities. It is located 15 minutes' drive from Hanover Messe Exhibition Grounds and only 3 minutes' from the city centre. The homely rooms come with a TV and DVD player. The bathrooms are located in the hallway and are shared with other guests as well as the host. Breakfast is provided every morning in the apartment's kitchen. Guests may use the shared kitchen facilities which include a coffee machine, an oven, a dishwasher and a stove. The Hannover Museum of History, the August Kester Museum, the market halls and the Opera House are all situated within 2 km of UniRoom Zimmervermittlung Hannover. All guests will find free parking spaces nearby. This privately run hotel is centrally yet peacefully located between the Stadtpark Park and Europe’s largest forest, the Eilenriede. The 4-star hotel offers a pool and sauna area with city views. The hotel offers suitable rooms for both business and leisure travellers, each including a minibar, satellite TV and an en suite bathroom with hairdryer and complimentary toiletries. 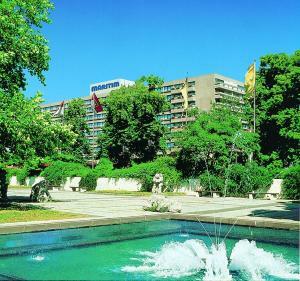 The Congress Hotel am Stadtpark boasts a Mediterranean restaurant, DEINS, located on the ground floor. Guests are invited to sample the grill menu as well as the daily specials menu. Breakfast buffet is served in the modern breakfast area on the 1st floor with beautiful view of the city park and winter garden. The 10 x 5 metre swimming pool and the Finnish sauna can be used free of charge. Here on the 17th floor, you can enjoy a unique view of Hanover city. 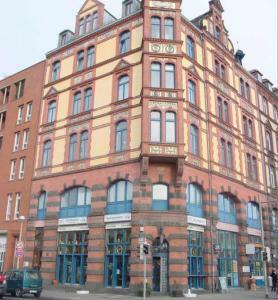 10 minutes by public transport will take you to the Hanover Main Station and the city centre. All points of interest in Hanover are easily accessible within a short time. The Messe Hannover exhibition grounds are 25 minutes away by train. The hotel also offers excellent connections to the motorways. This 4-star hotel is a 5-minute walk from Hannover Airport. It offers a 24-hour reception and a free 24-hour airport shuttle. The spa includes a gym, sauna and indoor swimming pool. The large and soundproofed rooms at the Leonardo Hotel Hannover Airport all have free WiFi, air conditioning, tea/coffee facilities and a 32-inch flat-screen HD TV. The Prasserie restaurant features an aviation theme and serves food from 06:00 to 23:30 daily. Drinks can be enjoyed in the colourful and stylish Sonderbar lounge with its chic bar. The Leonardo Hotel Hannover Airport is 50 metres from Hannover Flughafen S-Bahn (city train) station, a 17-minute journey from Hanover Main Station. The Hannover Messe exhibition centre is 25 minutes away by car or train. 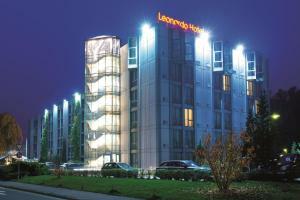 The Leonardo Hotel Hannover Airport offers on-site parking and quick access to the A2 motorway. The Hotel Taverne Inos offers traditional accommodation just 4 km from Hannover Messe Exhibition Grounds. Guests are welcome to enjoy the Greek cuisine served at the hotel's restaurant. Free parking is available. Each room at Hotel Taverne Inos comes with traditional furnishing and a TV. The private bathrooms each include a shower. Free WiFi is available. The KRH Klinikum Hospital Laatzen is only 400 metres from the hotel. In addition, guests can reach central Hanover in less than 20 minutes by car. Free Wi-Fi access is available. Langenhagen Airport is only 19 km away and guests can reach the A 37 motorway in less than 5 minutes by car. 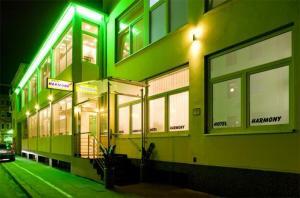 Hotel Römerkrug is quietly located in Hanover, 3 km from the Hanover Messe Exhibition Centre. The hotel offers a terrace and there is free WiFi access available. Each of the rooms at the hotel comes equipped with a TV and a private bathroom. The on-site restaurant specialises in Greek cuisine, and guests are welcome to relax in the bar with adjoining beer garden. A further selection of restaurants can be found within a 5-minute walking distance of the accommodation. Hanover Zoo is 3 km from Hotel Römerkrug, and the Royal Gardens of Herrenhausen can be reached in 45-minutes using public transport. The Market Church is 5 km from the accommodation. Free private parking is available at the hotel, and it is 2 km to Hannover Bismarckstr. S-Bahn Train Station. Located in central Hanover, this 3-star hotel offers modern rooms and breakfast buffets. Hanover Train Station is a 10-minute walk away, and the main shopping area is a 2-minute walk away. The lobby and at Cityhotel Thüringer Hof Klassik was renovated in 2013 and is decorated in bright colours, with a 1950’s style design. The rooms include a flat-screen TV, comfortable beds and a seating area. The Thüringer Hof is just a 5-minute walk from the Kröpcke tram stop. It connects you to the Messe Hannover exhibition centre in about 20 minutes. Conveniently located 8 km from Hannover Trade Fair, Hotel Haus Martens offers a breakfast room, bar, and free WiFi access. Lister Platz Tram Station is a short 5-minute walk. These bright and colourful rooms are classically decorated with contemporary wooden furnishings. Each room features a seating area, TV (some with flat-screen), and a modern bathroom. A hearty breakfast buffet is available every morning, and the restaurant serves classic German and regional specialities. In the evenings, guests can relax in the hotel’s cosy bar. All of Hannover’s major sights are easily accessible by public transport from Hotel Haus Martens, including Herrenhäuser Gardens (4.2 km), and Maschsee Lake (4.6 km). The A2 motorway is 10 minutes by car and free parking is available on site. Langenhagen Airport is 8 km away. The exquisite antiques in the public areas and rooms underscore the hotel’s individuality and comfortable atmosphere. The hotel boasts 4 rooms which can host meetings and event for up to 60 guests. The hotel’s own underground garage offers 25 parking spaces. Additional parking is available in the public garage directly opposite. With easy access to public transport offering connections to the Hannover Messe exhibition grounds, the ZV2001 room agency has private rooms and apartments throughout the city. The Apartments offered by ZV2001 (room agency) are normally occupied by families who move out during your stay. ZV2001 offers a range of modern, fully furnished apartments. Guests enjoy a private bathroom, a living room plus 1 or 2 bedrooms and a fully equipped kitchen. Bedding, towels and Wi-Fi (if available) are provided free of charge. Restaurants, bars and supermarkets are within walking distance from each apartment. Public parking is available at a location nearby, charges may apply. Breakfast is included, and apartments will have a refilled fridge. Hanover Fair is within 3 km of the rooms/apartments. With easy access to public transport offering connections to the Exhibition Ground, the ZV2001 room agency has private rooms and apartments throughout the city. Restaurants, bars and supermarkets are within walking distance from each room or apartment. Public parking is available at a location nearby, charges may apply. Breakfast is included, and apartments will have a refilled fridge. Hanover Fair is within 8 km of the rooms/apartments. The rooms offered by the DMZV agency are located in the Laatzen, Bemerode/Kronsberg, Mittelfeld, Döhren and Südstadt districts of Hanover. These are normally occupied by families. DMZV agency offers a range of modern, fully furnished rooms. Bedding and towels are provided free of charge, and most apartments feature free Wi-Fi. Quietly located in Hanover’s Kleefeld district, this hotel is just 6 km from Hannover Messe trade fair. It offers an on-site chapel, garden and spacious accommodation with free WiFi access. Stephansstift - Hotel und Tagungszentrum features bright and spacious rooms with classic-style décor. Each is complete with a flat-screen TV, and a private bathroom with a hairdryer. Each morning, breakfast is served in the hotel’s modern dining room. 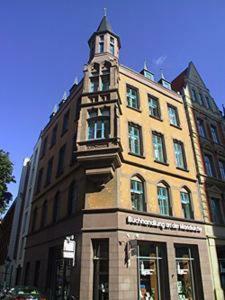 There are several cafés and restaurants within a 10-minute walk of Stephansstift - Hotel und Tagungszentrum. Hannover Congress Centrum and Hanover Zoo are approximately 3 km from the hotel. Tourists will find the city centre is only 5 km away. Free on-site parking is provided by the hotel. Hanover Airport is 15 km from Stephansstift - Hotel und Tagungszentrum. 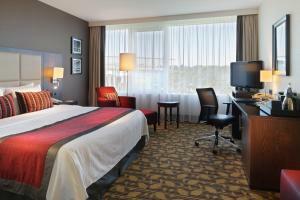 This 4-star hotel offers modern rooms in south-eastern Hanover, near the former EXPO site, TUI Arena and concert halls. It offers a spa and a free shuttle to main exhibitions. All rooms at the RAMADA Hotel Europa feature satellite TV, Wi-Fi and air conditioning. A buffet breakfast is available each morning. The Ländertreff restaurant serves international meals. There is a hotel bar. The terrace is open in summer. The Top-Fit-Club at the RAMADA Europa includes a fitness centre and sauna. The nearby Kronsberg mountain is ideal for walking, jogging and cycling. The RAMADA Hannover is near the A2 and A7 motorways. It is only a few minutes from Hanover city centre by car or tram. There is a 24-hour shop in the lobby. There is a daily entertainment schedule. Sporting events are shown in the Sky Lounge. The ABT offers rooms in family homes.They are located at different addresses in Hannover, and all have good access to Hannover Messe Exhibition Centre. Free Wi-Fi is provided in some apartments. Alternatively a limited number of USB internet sticks can be requested in advance. Breakfast is available each morning, and restaurants can be found within a 10-minute walk. Guests can also prepare their own meals in the kitchen. Both the Hannover Messe is within 3km from all of the apartments. All guests will find free parking spaces nearby. This is a non-smoking hotel, except for in the lounge on the first floor, where guests are welcome to enjoy a cigarette. 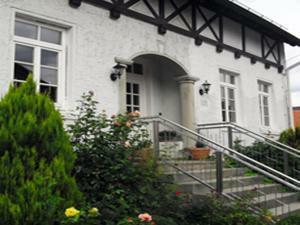 Gästehof Schild is located in Ronnenberg and offers self-catering accommodation. Free WiFi access is available. Apartments at Gästehof Schild feature a TV and a seating area. Complete with a microwave, the dining area also has a refrigerator and kitchenware. Private bathroom also comes with a shower. At Gästehof Schild you will find a garden, a terrace and a bar. Other facilities like a luggage storage are offered. Activities that can be enjoyed in the surroundings include cycling and hiking. The property offers free parking. Langenhagen Airport is located 17 km from the accommodation. Ferienwohnung Jelena is located in Hannover. Free Wi-Fi access is available in this homestay. The accommodation will provide you with a flat-screen TV and a seating area. There is a full kitchen with oven and a refrigerator. Featuring a bath or shower, private bathrooms also come with towels. You can enjoy a garden view from all the rooms. At Ferienwohnung Jelena you will find a garden. The property offers free parking. If you feel like visiting the surroundings, check out Hannover Messe trade fair (400 metres) and TUI Arena (2.2 km). 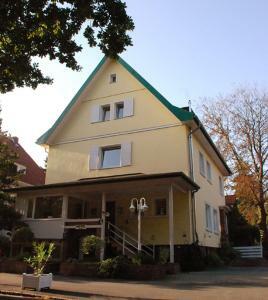 This homestay is 17 km from Langenhagen Airport. Offering free tickets for Hanover’s public transport services, this 4-star hotel is just a 2-minute walk from Hanover Central Station. Its air-conditioned rooms feature soundproofed windows and flat-screen TVs. Free WiFi access is available. InterCityHotel Hannover serves a large breakfast buffet in its bright restaurant with panoramic windows. In the evenings, classic German dishes and regional specialities are served here or on the outdoor terrace. Coffees, cocktails and snacks can be enjoyed in the InterCity’s bar. On request, packed lunches can be prepared for your day trips. Kröpcke Square is just a 3-minute walk from the InterCityHotel Hannover. From there, trams run to Hanover Trade Fair in 7 minutes. The hotel is also a 5-minute walk from Hanover State Opera. Conveniently located in the quiet Kleefeld district of Hanover, this hotel offers comfortably furnished rooms and a delightful bar, just 3 km away from the city centre. Free WiFi is provided for guests. Look forward to a peaceful night's sleep in the Kleefelder Hof's cosy rooms, which feature an en suite bathroom. Guests receive 1 hour of free Wi-Fi internet access and a free bottle of mineral water. Snacks and drinks can be enjoyed throughout the day in the Kleefelder Hof's charming bar. In the evenings, the hotel's Lounge offers a range of beverages, from exotic cocktails to draught beers. The Kleefelder Hof has its own fitness room on the 2nd floor. This includes a cross-trainer, treadmill and an exercise bike. The Kleefeld S-Bahn (city rail) station is just 500 metres from the Kleefelder Hof, providing a link to the city centre within minutes. Drivers will benefit from free parking spaces and excellent links with the A37 motorway. Offering a restaurant and free rental bikes, Restaurant & Logis Steuerndieb is located in Hanover, just 1.5 km from Hanover Zoo. Free Wi-Fi access is available. Your room at Logis Steuerndieb includes a flat-screen TV and DVD player. The bathroom features a shower and a hairdryer. Guests are free to relax in the shared lounge or garden. An array of activities can be enjoyed in the surroundings, including cycling and hiking. The property offers free parking and a tour desk. The Maschsee Lake is 5 km away, while the Hanover Trade Fair and the TUI Arena are 12 km from the property. FEO Apartments & Messezimmer (room agency) offers different apartments located within a 2 km radius of Hannover City Centre. Free Wi-Fi access is available in most of the apartments. All apartments at FEO Apartments & Messezimmer feature homelike décor and include a TV and modern bathroom. Bed linen and towels are provided for an extra charge. Guests can prepare meals in their own fully equipped kitchen. Ingredients for a continental breakfast are provided by FEO Apartments & Messezimmer before arrival. All apartments offer easy connections to Hanover Congress Centre by public transport. Guests will find several grocery shops, cafés and restaurants within a 10-minute walk of the apartments. Hanover Airport is within a 30-minute drive of the apartments. This 4-star hotel in Hanover lies next to the Eilenriede forest and a 15-minute walk from Hanover Zoo. It offers spa facilities, on-site parking and a business centre with free internet. 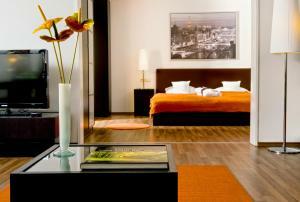 All the air-conditioned rooms and suites at the Novotel Hannover hotel feature cable TV, Wi-Fi internet and a minibar. Spa facilities include a hot tub, sauna and relaxation area. Massages are also available. The Novotel 's Intermezzo restaurant has a summer terrace. It serves international and Mediterranean specialities. A variety of drinks and snacks are available at the Tête à Tête bar. Guests who booked the room with the breakfast option can bring up to 2 children (16 or younger) to the breakfast buffet free of charge. The Novotel Hannover is just 200 metres from Lister Platz tram stop. Hanover city centre is a 5-minute tram ride away. Newly renovated in 2014, The MSR Hotel Hannover benefits from a central location just a 10-minute journey from Hanover's exhibition grounds. The closest S-Bahn railway station can be reached on foot in 2 minutes and provides connections throughout the city. Central Station can be reached in 8 minutes. Great importance is attached to individual and friendly service here, allowing our guests to feel at home. There is a bar at the hotel, and a roof terrace. This 3-star hotel offers free parking and rooms with cable TV. It stands directly beside Hanover Trade Fair, a 6-minute walk from the Hannover/Messe-Laatzen train station. 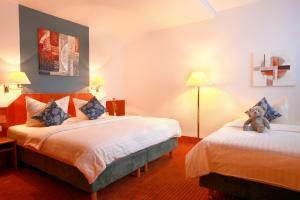 All rooms at Arcadia Hotel Hannover are air conditioned, and feature a desk and seating area. Each includes a private bathroom with a hairdryer. Guests receive a complimentary bottle of water at arrival. Arcadia Hotel Hannover offers a large breakfast buffet each morning. On the 2nd floor there is a vending machine selling drinks and snacks. In the evening, guests can enjoy a drink in the Skywalk bar. Fine local cuisine is available on request in the Vis à Vis restaurant, and the Arcadia also has a smoking lounge. Hanover city centre is just an 8-minute S-Bahn train ride away. Arcadia Hotel Hannover is easily accessible via the A7 and A2 motorways. This hotel is located in the centre of Hannover in a pedestrian area 50 metres from the Marktkirche Church, 100 metres from the old town hall. All rooms at the Hotel Central Hannover feature satellite TV and free Wi-Fi. Hotel Central Hannover offers a hearty breakfast as well as a restaurant with various meaty and vegetarian meals. Guests can enjoy a range of drinks in the hotel bar or and ice cream on the restaurant's terrace. A hairdryer is provided in each bathroom. A complimentary bottle of water is provided in each room on arrival. Private parking is available at the Hotel Central Hannover. The Markthalle/Landtag Tram Stop is 300 metres away, and Hanover Central Station can be reached on foot in 10 minutes. A shuttle service is available from Hanover Airport on request. 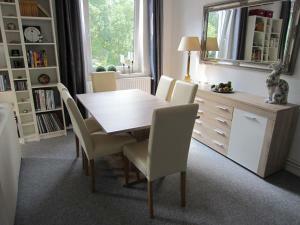 Offering free parking, the privately run BS Business Travelling Apartments are located at different addresses in Hannover. A shuttle service is available to Hannover Trade Fair and Hannover Airport. The BS Business Travelling Apartments are individually decorated to make you feel at home. Each one has a separate living room with cable TV and a bathroom. Some also offer free Wi-Fi. BS Business Travelling can provide local area information to guests. All apartments are within a 20-minute drive of Hannover Trade Fair. 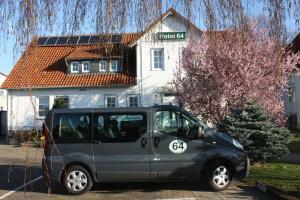 This quiet hotel offers comfortable accommodation in Gleidingen, Laatzen, just 12 kilometres south of Hanover. It lies a 5-minute drive or a 15-minute train ride from the exhibition grounds. Look forward to cosy rooms at Hotel 64, all fitted with cherry-wood furnishings and equipped with a TV and private bathroom. There is an internet hotspot in the lobby, which can be used free of charge. A rich and varied buffet breakfast awaits you each morning, which you can enjoy before setting out to explore the surrounding countryside or visit Hanover. Hotel 64 offers free parking. You will find the nearest train station just 1.5 kilometres from the hotel. Improve your swing at the nearby Gleidingen Golf Club (1.5 km) or go for a dip in the Aqua-Laatzium water park and spa (4.5 km). ABT Private Rooms Hannover offers rooms in family homes. They are located at different addresses near to Hannover Messe Exhibition Centre. Hannover city centre are within 3km from all of the rooms and is reachable by tram in 15 minutes. All guests will find free parking spaces nearby. Free WiFi and free private parking are offered by this traditional hotel. It enjoys a central location in Hanover, just 1 km from Hanover Central Train Station and a 15-minute walk from the Old Town. City Hotel Garni features spacious rooms decorated in a classic-style. Each is complete with a work desk, TV and en suite bathroom as well as a private balcony. Breakfast is served every morning in City Hotel Garni’s dining room. There are numerous cafés and restaurants serving international cuisine within a 2-minute walk of City Hotel Garni. Nearby attractions include Sea Life Hannover and Hannover Zoo which are both approximately 3 km from City Hotel Garni. Messe Hannover exhibition grounds are 11 km away. This 4-star Superior hotel offers stylish rooms with adjustable lighting, a direct tram ride from Hanover Central Station. Minibar drinks, video on demand, WiFi and 24/7 room service are all complimentary at the Dormero Hotel Hannover. Rooms at the Dormero Hotel Hannover feature a clear and functional design with quirky details. All rooms include high-quality bedding, a flat-screen TV with international TV channels, and a sound system. A buffet breakfast is available each morning at the Dormero Hotel. 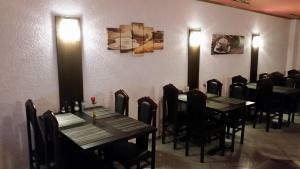 Guests can enjoy fine, high grade American cuisine that also serves German classics as well as an Italian restaurant. The Sonderbar is a bar, club and event location and one of Hanover's most popular. The spa at the Dormero Hotel includes a sauna, steam room and gym with modern fitness equipment. Schlägerstraße Tram Stop is just 60 metres from the Dormero Hannover. Lake Maschsee is a 10-minute walk away, and the AWD Arena is just 2 km away. Private parking is available at the Dormero. GDA Hotel Waldhausen is a combined hotel and senior residence, located only 10 minutes' drive from Hannover Messe exhibition grounds and Hanover city centre. It offers an indoor pool and a restaurant. These wheelchair-friendly rooms include a fully equipped kitchen, a flat-screen TV and private bathroom with a hairdryer as well as free toiletries. Some include a balcony. Several restaurants can be found within 5 minutes' walk. A hearty breakfast buffet is served daily. 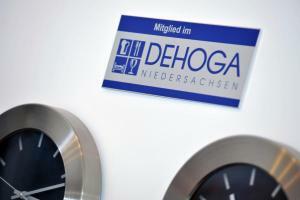 At GDA Hotel Waldhausen you will find a games room and luggage storage. A range of activities can be enjoyed on site or in the surroundings, including cycling and hiking. The nearest (also wheelchair friendly) tram station is only 5 minutes' walk away and offers a very frequent service to the Hanover Main Station. The hotel is 10 minutes' from Lake Maschsee and Hannover Airport is 13 km away. The hotel offers free parking. Located in central Hanover, this 3-star hotel offers modern rooms and a restaurant. Hanover Train Station is an 8-minute walk away and the main shopping area is a 2-minute walk away. The lobby and rooms at Cityhotel Thüringer Hof Design are decorated in bright colours, with a 1950s style design. Renovated in 2013 the stylish rooms come with a flat-screen TV, minibar and a safety deposit. Cityhotel Thüringer Hof Design Hannover also comes with a terrace and a bar and a fresh breakfast buffet is served each morning. Guests are welcome at the hotel's own restaurant where snacks and dinner are served. The Thüringer Hof Design is just a 5-minute walk from the Kröpcke tram stop. It connects you to the Messe Hannover exhibition centre in about 20 minutes. Hannover Airport is only 10 km away. Just a 10-minute walk from Hanover Train Station, this modern, 3-star hotel offers rooms with great views of the city, Wi-Fi internet access, and daily breakfast buffets. Refurbished in 2014, the brightly decorated rooms of the Cityhotel Königstrasse feature soundproofed windows, a work desk, and a spacious bathroom. Guests can relax in the Cityhotel’s large breakfast room. Tea, coffee, and soft drinks are available in the lobby 24 hours a day. The Cityhotel Königstrasse has a private garage. This 4-star hotel in Hanover is a 5-minute walk from the pedestrian area and Nikolaikapelle chapel. It offers soundproofed rooms, a rooftop terrace, and great transport links. 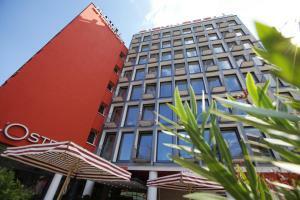 The Mercure Hotel Hannover Mitte has spacious rooms with air conditioning, satellite TV, and Wi-Fi. The Mercure Hannover's Leander restaurant serves food from the Lower Saxony region and international dishes. The Leander bar opens every evening. The Steintor tram stop is a 5-minute walk away from the Mercure Hannover Mitte. It connects you to the Messe Hannover exhibition centre in 20 minutes. The Mercure Hotel Hannover Mitte has a private underground garage. 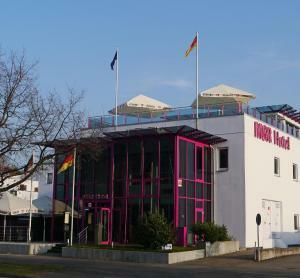 GDA Hotel Kleefeld is a combined hotel and senior residence, located just 4 km from the Hanover Congress Centre and 5.7 km from the Main Station. GDA Hotel Kleefeld offers free WiFi as well as a sauna and an indoor pool. All rooms at GDA Hotel Kleefeld include a TV, minibar, kitchen facilities and a private bathroom. The accommodation is especially wheelchair-friendly. The hotel has a 24-hour reception and offers luggage storage. A games room and shops are also available on site. Free parking spaces are available at GDA Hotel Kleefeld. Hanover Airport is 12 km away. This 4-star hotel offers an outdoor swimming pool and Wi-Fi internet access. It is in the Groß-Buchholz district of Hanover, just 7 km from the city centre and the trade fair. All of the modern rooms at the Mercure Hotel Hannover Medical Park have air conditioning and a private bathroom. In the Mercure's La Bohème restaurant, German and international dishes are served. During summer months, the poolside terrace is open offering drinks. The Le Vignoble bar serves beers and fine wines. 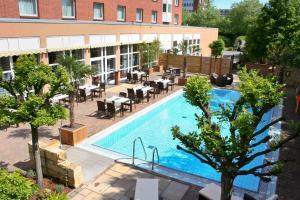 Leisure facilities at the Mercure Hotel Hannover include an outdoor pool, a sauna and pool tables. The hotel also offers a free bicycle hire service. This non-smoking hotel offers a 24-hour bar, free internet terminals and free use of the pool in the next-door hotel. It is located in the Buchholz district, a 7-minute walk from Hanover Medical School. All of the soundproofed rooms at the Ibis Hotel Hannover Medical Park include cable TV and a private bathroom with hairdryer. Wi-Fi is free in the lobby. A large breakfast buffet is served between 04:00 and 12:00. The Ibis Hotel’s bar offers snacks and drinks around the clock. A terrace is available in the summer. 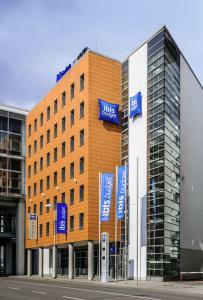 The non-smoking Ibis Hotel Hannover Medical Park is an 8-minute walk from the Medizinische Hochschule tram stop. Trams run directly to the city centre. Hanover Trade Fair can be reached by car in 15 minutes. This non-smoking 3-star hotel is a 2-minute walk from Hannover's main train station. It offers spacious suites with a kitchenette, free Wi-Fi and free use of the 24-hour gym. All of the spacious suites at Suite Novotel Hannover feature a room divider, a sofa and some kitchen facilities including a microwave, an electric kettle and a fridge. Additionally, guests enjoy free WiFi, free national telephone calls and free use of 24-hour fitness facilities. The Suite Novotel Hannover's Good Morning Breakfast is available each morning. A variety of drinks are served in the bar. Drinks, snacks and ready-made meals are available from the 24-hour Boutique Gourmande shop. Guests who booked the room with the breakfast option can bring up to 2 children (16 or younger) to the breakfast buffet free of charge. Guests enjoy free internet and printing facilities in the hotel’s business centre. Free massages are offered on Thursdays. Guests staying 4 nights or longer can rent a Smart car for 4 hours for free. This hotel is situated just off the A2 motorway, a 15-minute drive from central Hanover and the Hanover Exhibition Centre. 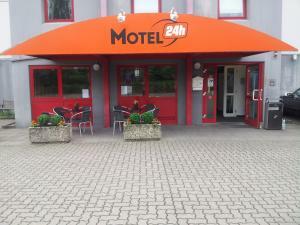 Motel 24h Hannover offers free Wi-Fi and free parking. The functionally furnished rooms contain satellite TV and a desk. Guests have access to several shared bathroom facilities (4 in total) on every floor. A breakfast buffet is available each morning at Motel 24h. Drinks and snacks are available at vending machines. 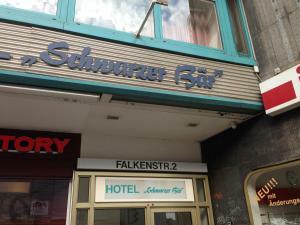 Oldenburger Allee is a 9-minute walk from Motel 24h Hannover. It is 2 km from the A37 motorway. Express check-in and check-out are available for guests. 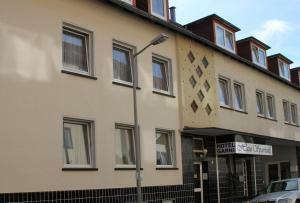 This hotel is located near the centre of Hanover, 1 km from Hanover Main Station. Design Hotel Wiegand offers renovated rooms with modern furnishings and free, high-speed WiFi. All rooms include tea/coffee facilities and a private bathroom with granite wash basin, a heated towel rack and a glass shower cubicle. A full breakfast buffet is served each morning in the modern breakfast room. This includes fresh fruit, yogurts, mueslis, a bread basket and a selection of cold meats, cheeses, jam and fish. Hot drinks are also available, and the breakfast can be brought to your room. Tram and bus connections are available to all parts of Hanover from Steintor, 200 metres away, and Hanover Main Station is a 10-minute walk from the hotel. A selection of restaurants can be found within a 10-minute walk. Design Hotel Wiegand is 2.5 km from the Herrenhäuser Gärten (gardens) and 7 km from Hanover Trade Fair. Hanover Airport is within a 20-minute drive, and underground parking is available at the hotel. This 4-star hotel is a 3-minute walk from Hanover Main Station, 20 minutes by train from Hanover Airport or the Hanover Exhibition Centre. Wi-Fi is free at the Loccumer Hof. The design interiors at the Hotel Loccumer Hof are decorated in warm colours and feature modern artworks painted by the lady owner. All rooms include cable TV, a minibar and private bathroom, and some have air conditioning and a large seating area. A full buffet breakfast is provided each morning in the Loccumer Hof’s elegant restaurant. Seasonal and Mediterranean meals are also served here along with a large selection of wines. The Loccumer Hof is a 5-minute walk from Hanover’s Opera House and main shopping streets. Hanover’s Old Town is a 3-minute walk away. For a deposit, guests can rent an iPad during their stay at the Loccumer Hof. With easy access to public transport offering connections to the Messe Exhibition Grounds, Hanno-Fair Incoming has private rooms and apartments throughout the city. The Apartments offered by Hanno-Fair Incoming (room agency) are normally occupied by families who move out during your stay. Hanno-Fair Incoming offers a range of modern, fully furnished apartments. Guests enjoy a private bathroom, a living room and a fully equipped kitchen. Bedding, towels and free Wi-Fi are provided free of charge. The accommodation is within 7 km of the Hannover Messe exhibition grounds and within 15 km of Hanover city centre. Within 500 metres of Hanover Central Train Station the Ibis budget Hannover Hbf offers free WiFi and a 24-hour front desk. Hanover Old Town can be reached within 10 minutes on foot. Decorated with elegant simplicity all of the bright rooms at this property are air-conditioned. Each room includes a flat-screen TV with satellite channels, a desk and a private bathroom. A daily breakfast buffet is served in the colourful hotel's modern-style cafeteria. Guests may also relax in the hotel’s lounge area. Drinks and snacks are available from vending machines. 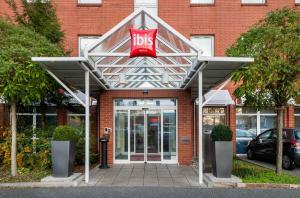 From the Ibis budget Hannover Hbf, It is a 10-minute drive to The Royal Gardens of Herrenhausen or to the Hanover Zoo. The A2 (10 km) and A7 (15 km) motorways are both easily reached from this property. On-site parking is available. Hannover Airport is 10 km away. Free Wi-Fi and a Greek-inspired breakfast buffet are offered at this hotel, conveniently located 500 metres from Hannover Main Station. Rooms were renovated in 2011 and feature a flat-screen TV. 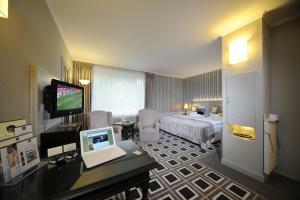 Rooms at City Hotel Irodion feature simple decor and come with satellite TV and a desk. A private bathroom comes with free toiletries and a hairdryer. City Hotel Irodion’s restaurant is decorated with wooden details and serves Greek cuisine. A currency exchange and photocopying services are available for guests to use. Kröpcke U-Bahn Train Station is 180 metres from the hotel, providing connections to Messe Hannover (Hannover Exhibition Grounds) in 30 minutes. Just 800 metres from Hanover Central Train Station, this hotel is conveniently located within a 10-minute drive of Hannover Messe trade fair and Hanover Airport. It offers modern accommodation with free WiFi. A hearty buffet breakfast is served each morning in A&C Hotel Hannover’s dining room. Guests will find vending machines for drinks and snacks on site. Numerous cafés and restaurants are within 500 metres of the hotel. Nearby attractions include Hanover Zoo (3 km), Herrenhausen Gardens (3.5 km) and the Ernst August Gallery (1 km). Only 7 km from Hanover Airport and Hanover city centre, this 4-star hotel offers fitness facilities, modern rooms with satellite TV, and easy tram connections to the Messe Exhibition Grounds. The spacious rooms of the Fora Hotel Hannover all include a minibar and bright bathroom with hairdryer. Wi-Fi is available in all areas. Guests are welcome to relax in the Fora’s sauna during their stay. Free rental bicycles are provided on request. Varied breakfast buffets and international specialities can be enjoyed in the Hotel Fora’s restaurant with terrace. The Großer Kolonnenweg tram stop is outside the Hanover Fora. The Messe Exhibition Grounds can be reached in 30 minutes and Hanover Train Station within 10 minutes' drive. Underground parking is available at the Fora. This elegant hotel is located directly at Hanover Airport. It offers elegant rooms, a spacious spa with indoor pool, and 2 restaurants serving German and international cuisine. The quiet rooms at the Maritim Airport Hotel Hannover all feature satellite TV and a minibar, and some also include a tea/coffee maker. Free WiFi and wired internet (up to 512 KB) are provided. Spa facilities at the Maritim Airport Hotel Hannover include a sauna, steam room and modern gym. The Maritim's Rôtisserie and Bistro Bottaccio restaurants offer fine German and international specialities. Select drinks are served in the Night Flight bar. Hannover Flughafen S-Bahn Train Station is 300 metres from the Maritim. Guests can reach Hanover city centre in 17 minutes and Hanover Exhibition Centre in 25 minutes. The stylish Maritim Grand Hotel stands opposite the New Town Hall in central Hannover. It offers fine regional cuisine, a summer terrace, and a stylish piano bar. All of the rooms at the Maritim Grand feature satellite TV, a minibar and a modern bathroom. They have fax and guests receive free WiFi access. The Maritim’s spacious Brasserie and L’Adresse restaurants serve varied buffets and popular Lower Saxon dishes. Guests can also relax in the cosy Café am Kamin or elegant piano bar. Lake Machsee is only a 15-minute walk from the Maritim Grand Hotel, and guests can drive to Hannover's Botanical Gardens in 5 minutes. The Messe Hannover Exhibition Centre is a 15-minute drive or underground journey from the Maritim Grand. Underground parking is available at the Maritim. Situated just 400 metres from the Hannover Train Station in the heart of Hannover, this guest house was renovated in August 2013. 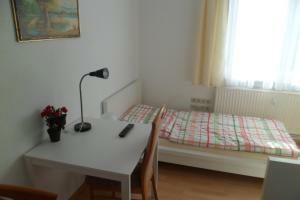 Hannover-City-Pension offers stylish rooms with free WiFi. Rooms here are elegantly designed with a nice mix of modern and antique furnishings. Each room features a minibar and TV, and some rooms offer a seating area and private bathroom. 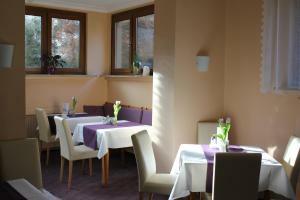 A wide variety of restaurants and cafés are reachable within a 10-minute walk from Hannover-City-Pension. Hannover Zoo is located 2.5 km away, and the Hannover Convention Centre is 10 km from the guest house. Maschsee Park and Lake is 2 km away. Hannover Main Train Station can be reached in a 5-minute walk and the A2 motorway is a 10-minute drive. Free parking is available. Located next to the Tiergarten Park in Hanover-Kirchrode, the 4-star Leonardo Hotel provides modern rooms with a private balcony, and an international restaurant. The A7 motorway is just 3.5 km away. Free WiFi is available. Guests are welcome to use the Leonardo Hotel Hannover’s Happy Body Spa, with its sauna, steam room and fitness equipment. The Tiergarten Restaurant serves international and seasonal dishes every day. Exotic cocktails and German beers are available in the Mediterranean-style bar and the beer garden. Featuring views of the Tiergarten Park, each room at the Leonardo Hotel Hannover has a 32-inch flat-screen HDTV and a private bathroom. The Tiergarten tram stop is 200 metres from the Leonardo Hotel, providing a link to central Hanover in 16 minutes. The ABT offers self-catering apartments in family homes.They are located at different addresses in Hannover, all with easy access to Hannover Messe Exhibition Centre. All apartments come with a fully equipped kitchen. A large breakfast can be provided by the ABT Apartments Hannover. Both Stadtfriedhof Seelhorst Train Station and Am Mittelfelde Train Station are just 300 metres away. Several bus stops are within walking distance. Hannover city centre are within 3km from all of the apartments. All guests will find free parking spaces nearby. 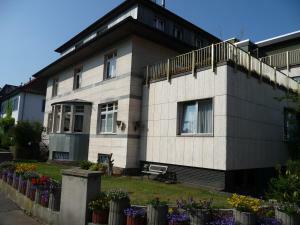 This homestay accommodation is located in Hanover, 4.5 km from the Hannover Messe exhibition grounds. Privat Hannover also offers a sauna, a garden with a terrace and free parking. Rooms at Privat Hannover include a desk and seating area. Guests also have access to a washing machine and clothes dryer. 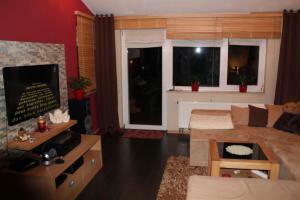 The accommodation is 3.8 km from Hanover Zoo and 8 km from Hanover Airport. Other good day-trip destinations include the Herrenhausen Gardens, the Mill Museum in Gifhorn and the car-manufacturing city of Wolfsburg. This family-run, 3-star hotel is a 5-minute walk from Hanover Central Station. It offers modern rooms and apartments with Wi-Fi via hotspot, rich breakfast buffets, and a free shuttle. All of the rooms at the Hotel Alpha feature free tea/coffee facilities and a modern bathroom. Non-smoking rooms are available on request. Guests are welcome to book the Alpha’s shuttle for trips within the Hanover city limits. Other amenities at the hotel include a bicycle rental service. Private parking is available at the Hotel Alpha on request. 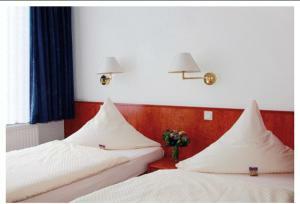 The Vahrenwalder Hotel Hannover offers well-equipped rooms, free Wi-Fi and a free, small sauna area. It is located in the Vahrenwald district of Hanover, just 3 km from the city centre. All rooms at the Vahrenwalder Hotel Hannover have cable TV, free Wi-Fi and a desk. A rich breakfast buffet is served each morning in the Vahrenwalder Hannover's breakfast restaurant. International and German cuisine can be enjoyed in cafés and restaurants located within 7 minutes' walk from the hotel. The Büttnerstraße tram stop is just 20 metres away. From here, you can reach the main railway station in 10 minutes. 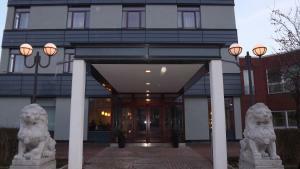 The Vahrenwalder Hotel also offers free parking spaces and good links with the A2 motorway. These private rooms in family homes are located in various area of the city, offering easy connections to Hannover Messe Exhibition Centre. Some also offer internet access. CONZEPTplus Private Rooms Hannover Rooms offer a seating area and shared bathroom facilities. Bed linen and towels are included. Restaurants, bars and supermarkets can be found within walking distance of every room offered by CONZEPTplus Private Rooms Hannover. Breakfast can be ordered for a fee. Free public parking can be found nearby the rooms. All rooms are within walking distance from a tram stop and some rooms can be booked with Wi-Fi. 1A Zimmervermietung Messe is located in Hannover, just a 5-minute drive from the TUI Arena. Central Hannover can be reached within 20 minutes by train. The homestay includes a living area with a flat-screen cable TV and a sofa. There are 2 bedrooms, and a bathroom with a hairdryer and bathtub. Guests are welcome to prepare meals in the well-equipped kitchen, which includes a dishwasher, coffee machine and oven. Meals can be enjoyed on the furnished balcony. 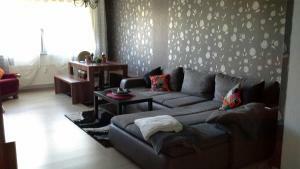 This homestay is 16 km from Hannover Airport. These apartments are centrally located in Hanover. Aran Suites Hannover are located less than 750 metres from Hanover Main Station, 1.5 km from the AWD Arena and just 2 km from the Hanover Congress Centre. All apartments include air-conditioning, free WiFi, a fully equipped kitchen and a balcony or terrace. Each accommodation also comes with views of the garden and city, as well as a private bathroom with bathtub, hairdryer and bathrobes. At Aran Suites Hannover you will find barbecue facilities, a bar and a snack bar. Grocery deliveries can be arranged on request. Hiking, cycling and water sports are popular in the surrounding area. Other nearby attractions include the Maschsee Lake, Hanover Zoo, the Kröpcke square and the Herrenhausen Gardens. This family-run hotel lies just north of Hanover's city centre. Leave your car at the hotel's free parking, and walk to Hanover's Old Town in less than 15 minutes. The non-smoking Hotel Sparkuhl offers welcoming, comfortable rooms with modern amenities. They include flat-screen TVs, a laptop safe and Wi-Fi internet access (for an extra fee). Start your day with a hearty breakfast from the Hotel Sparkuhl's breakfast buffet. You can enjoy this for a small extra charge. Just 100 metres from the Hotel Sparkuhl, you will find the Werderstraße tram stop. From here, it takes just 5 minutes to reach Hanover Hauptbahnhof (main railway station) and 15 minutes to reach the exhibition centre. Located in Hanover, just 1.5 km from Hanover Main Station, these modern apartments are offered by ProFair and are normally occupied by families who move out during your stay. The Messe Exhibition Grounds are just 10 km from the Apartments, many of which have free WiFi. Each apartment features a balcony and a comfortable seating area, bedding and towels are provided. The private bathrooms come with a bath or shower. Breakfast can be ordered for a fee, or prepared in the well-equipped kitchens which come with a microwave. Restaurants, bars and supermarkets are within walking distance from each apartment. Check out Hanover Zoo, which is 4 km from the apartments or the Royal Gardens of Herrenhausen which are 2.5 km away. Hanover city center is within 1-4 km of the apartments. With easy access to public transport offering connections to the Messe Exhibition Grounds, Apartment World Limited has private rooms and apartments throughout the city. The apartments and bed & breakfast rooms offered by Apartment World Limited (room agency) are normally occupied by families who move out during your stay. Apartment World Limited offers a range of modern, fully furnished apartments. Guests enjoy a private bathroom, a living room and a fully equipped kitchen. Bedding, towels and free Wi-Fi are provided free of charge. Hanover Messe is within 13 km of the rooms/apartments, and the city centre is within 25 km. Hanover Messe is within 13 km of the rooms/apartments, and the city centre is within 15 km. This hotel offers quiet rooms with marble bathrooms and satellite TV. 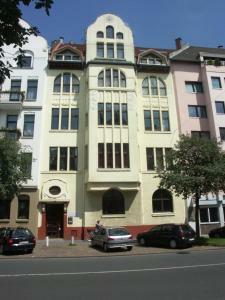 It is located in a side street, close to trams and a 5-minute walk from Hanover Main Station. Each room at the Hotel Zentrum also has a minibar. A hairdryer can be provided on request. Free Wi-Fi access is available in all areas of the hotel. Hanover's Old Town district is a 5-minute walk from Hotel Zentrum. Hanover's Exhibition Centre is a direct tram ride away. S-Bahn trains also run there from Hanover Main Station in just 6 minutes. For your relaxation and wellbeing we offer an indoor pool and a cosy sauna. 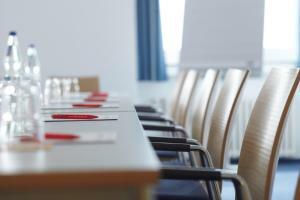 We also cater for meetings and conferences, and provide individual service and modern technology. Set on the northern outskirts of Hanover, this modern hotel is a 15-minute drive from the trade fair and city centre, while enjoying direct access to the A2, A7, and A37 motorways. The Mercure Hannover Oldenburger Allee offers spacious, well-equipped rooms with complimentary high-speed Wi-Fi internet access and individually adjustable air conditioning. All rooms are modern and half of the rooms were completely renovated in 2014. Relax in the Mercure Hannover Oldenburger Allee's sauna, and look forward to the stylish restaurant and bar. Guests with special dietary requirements are catered for. The nearby Oldenburger Allee tram stop quickly connects you to the railway station and the attractions of the city centre. You also benefit from easy road connections to Hanover's international airport and exhibition grounds. This 4-star-superior hotel offers great public transport links and lies close to the Hanover Exhibition Centre and the TUI Arena. 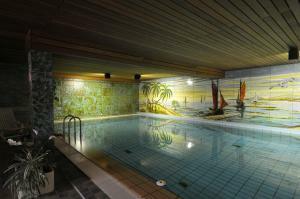 The H4 Hotel Hannover Messe offers a large spa with 15-metre swimming pool. The classic-style rooms at the H4 Hotel Hannover Messe all provide air conditioning. Every room offers satellite TV, a minibar and private bathroom. Free WiFi is provided. International and regional cuisine is served in the restaurant, which features a popular glass pyramid. Events and private functions can also be held in the adjoining Platinum lounge. The Dubliner pub features genuine Irish furniture and leather seating. Fish and chips as well as Guinness can also be enjoyed in the beer garden. The Leine-Centre is only 300 metres away and boasts various shops and restaurants. Parking is available in the underground car park of the H4 Hotel Hannover Messe. It provides excellent access to the A2 and A7 motorways. 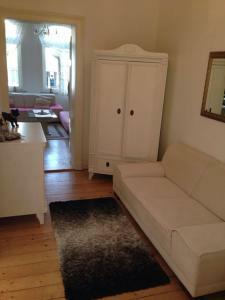 It is 20 minutes from Hanover city centre and 30 minutes from Hanover Airport. With easy access to public transport offering connections to the Messe Exhibition Grounds, Deutsche Messe Zimmer Room Agency (DMZV) has private rooms and apartments at various locations in Hannover. The apartments offered by the DMZV agency are located in the Laatzen, Bemerode/Kronsberg, Mittelfeld, Döhren and Südstadt districts of Hanover. These apartments are normally occupied by families. DMZV agency offers a range of modern, fully furnished apartments. Bedding and towels are provided free of charge, and most apartments feature free Wi-Fi. With easy access to public transport offering connections to the Messe Exhibition Grounds, Deutsche Messe Zimmer Room Agency (DMZV) has private apartments throughout the city. Just a 5-minute drive from the Messe Exhibition Centre, this 3-star hotel in Hanover offers spacious rooms with flat-screen TV, Wi-Fi internet access, and free private parking. All classic-style rooms at Hotel Gold Spring are decorated in warm colours. They feature a seating area, desk, and safety deposit box. Full buffet breakfasts are available at the Gold Spring in the mornings. The dining room features a stylish ceiling and striking lights. Hannover Messe/Laatzen Train Station is 2 km away from the Gold Spring Hotel. Direct trains run to Hanover Central Station in 25 minutes. This 4-star hotel in Hanover offers a traditional façade, modern wellness facilities, and good transport links. The Neues Rathaus town hall and Landesmuseum museum are a 2-minute walk away. 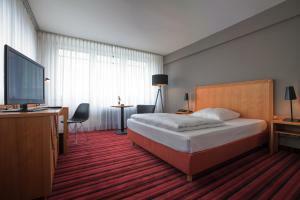 The Mercure Hotel Hannover City has spacious rooms with air conditioning and satellite TV. Wi-Fi is available free of charge in all areas, but premium internet access can also be purchased. Guests can make free use of the Mercure Hotel's sauna and fitness area. A big breakfast buffet is on offer at the Mercure Hannover City. Lower Saxon dishes and international meals are served at the Le Chatâignier restaurant with terrace. The Aegidientorplatz underground station is a 5-minute walk from the Mercure Hotel Hannover City. It connects you to the Messe exhibition centre in about 15 minutes. This 4-star-superior hotel offers soundproofed rooms with free internet, free minibar drinks and free shoe cleaning. It is within a 3-minute walk to the Hanover Main Station. Grand Palace Hotel Hannover is a historic building from 1895. All rooms and suites are modern and feature air conditioning, satellite TV and a modern bathroom with bathrobe and hairdryer. The Grand Palace Hotel features a modern fitness centre. There are also rental bicycles for exploring the city and its surroundings. 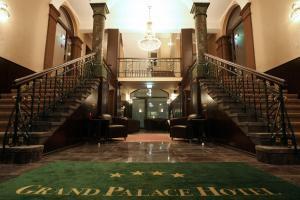 Further facilities at the Grand Palace Hotel Hannover include a restaurant, a bar and a private car park. The Grand Palace Hannover is within a 5-minute walk of Hanover’s Schauspielhaus theatre and Staatsoper opera house. It is a 2-minute walk from Thielenplatz/Schauspielhaus tram stop. Hanover Trade Fair and Hanover Airport can be reached in 20 minutes by car or public transport. Centrally located in Hanover, this hotel offers a breakfast buffet and rooms with a flat-screen TV. This 3-star hotel is 1 km from Hanover Main Station and 10 km from Hanover Trade Fair. Opened in 2012, the bright rooms at the Best Western Hannover City (ex: V.E.K Business by Centro Comfort) include carpeted floors and an en suite bathroom with free toiletries. Guests enjoy free WiFi. Guests at the Best Western Hannover City (ex: V.E.K Business by Centro Comfort) are invited to relax with a drink in the hotel’s lobby bar. A great selection of restaurants and cafés serving international cuisine can be found within a 5-minute walk. The hotel’s business centre offers guests free use of a scanner, fax machine and printer. Best Western Hannover City (ex. V.E.K Business by Centro Comfort) is a 5-minute walk from Hanover city centre. With easy access to public transport offering connections to the Messe Exhibition Grounds, ProFair has private rooms and apartments throughout the city. 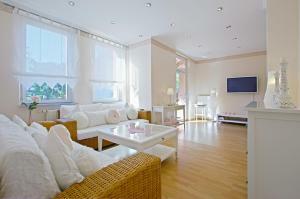 The Apartments offered by ProFair are normally occupied by families who move out during your stay. ProFair offers a range of modern, fully furnished apartments. Guests enjoy a private bathroom, a living room and a fully equipped kitchen. Bedding and towels are provided, and Wi-Fi is free of charge in many cases. Hanover Messe is within 1-4 km, city center within 5 km of the apartments. Located in the city centre, Concorde am Leineschloss is directly next to the gothic Marktkirche Church and a 10-minute walk from Hanover Train Station. The hotel offers 24-hour reception services and soundproofed windows. The modern-style rooms at Concorde Hotel am Leineschloss are decorated in soft pastel tones to enhance relaxation. They all include a flat-screen TV, a work desk and en suite bathrooms with hairdryer. Free Wi-Fi is available in the business lobby. Guests can enjoy a hearty German breakfast, served daily in the dining hall of the hotel. Many local cafés and restaurants in the Old Town (Altstadt) provide hearty local food and beers. Situated directly on the Markthalle Square, Concorde Hotel is just 100 meters from the tram stop that provides direct access to Hannover's main sights. Langenhagen International Airport is a 15-minute drive away. Hotel in Herrenhausen is located in Hanover. It is a short walk from the Herrenhausen Palace and Gardens and Leibniz University. Close to Volkswagen and Continental, guests can expected newly renovated rooms and a daily breakfast buffet. All of the rooms at the Hotel in Herrenhausen have a modern bathroom and flat-screen TV with cable channels. Free WiFi is available and all guests have access to a common kitchen. Parking spaces are available at the Hotel in Herrenhausen for a small fee. Herrenhäuser Markt Tram Station is directly in front of the hotel and offers quick connections to Hanover Centre and the Exhibition Grounds. The A2 motorway is just a 5-minute drive away. 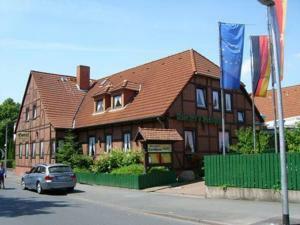 This family-run hotel is located in the Limmer district, 4 km west of Hanover city centre. The Lindenkrug Hannover has its own exclusive cigar lounge and a gourmet restaurant. All rooms at the 3-star Hotel Lindenkrug are spacious and simply furnished. Every room includes a TV, work desk and a bathroom with shower. A daily breakfast buffet and a selection of creative German regional cuisine is served in the Lindenkrug’s elegant restaurant or outside on the large terrace. The spa at the Lindenkrug Hannover includes a Finnish sauna, hot tub and solarium. Hotel Lindenkrug Limmer offers free parking and is 50 metres from Brunnenstraße tram stop. Guests using public transport are just 15 minutes from the Hanover Exhibition Centre and 20 minutes from Hanover Airport. Just a 5-minute walk from Hanover Train Station, this 3-star Superior hotel offers modern rooms and a Wi-Fi hotspot in the lobby. A cinema and gym are located in the same building. The ANDOR Hotel Plaza has brightly decorated rooms with satellite TV, a work desk, and a private bathroom. All guests staying at the Plaza receive a free welcome drink. Rich breakfast buffets are prepared here. Guests can relax in the Esprit restaurant, Orbit Bar, and Tropical Bar. A wide range of shops and entertainment venues are located within 10-minute walk of the ANDOR Plaza. Private parking is available at the Plaza Hotel in Hanover. Located between the Volkswagen company and the Herrenhausen gardens, this privately run hotel in Hanover offers free Wi-Fi, rich breakfast buffets, and good tram connections to the city centre. All of the rooms at the Hotel Klappenburg - Bed and Breakfast feature light wooden furniture and a TV. Each room has a private bathroom. The Hotel Klappenburg is just a 5-minute walk from the Auf der Klappenburg tram stop. Tram number 4 provides fast connections to Hanover Central Station, the Messe exhibition centre, and Hanover Airport. Free parking spaces are located outside the Klappenburg Bed and Breakfast. 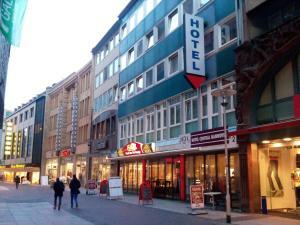 This hotel is located in Hanover city centre, a 15-minute walk from Hanover Main Station. The Garni Hotel Reverey offers a daily breakfast as well as a fridge and free hot drinks facilities on every floor. Hotel Reverey is housed in a stylish building from 1900. Rooms feature classic décor as well as a flat-screen TV. Aegidientorplatz tram stop is a 2-minute walk from the Garni Hotel Reverey. This is just 2 tram stops from Hanover Main Station. The Maschsee Lake is just 600 metres from Hotel Reverey. Located directly next to Hanover’s Exhibition Centre and TUI Arena, this 4-star hotel offers an international restaurant and individually furnished rooms with satellite TV. WiFi is included in the room rate. Just a 15-minute drive from Hanover city centre, Radisson Blu Hotel offers air-conditioned rooms with seating area and tea and coffee facilities. The bathrooms have toiletries and a hairdryer. The Arts Restaurant serves a range of fine international cuisine. Guests can enjoy drinks in the Radisson Blu Hotel Hannover’s elegant Arts Bar. The Radisson Blu Hannover also features a sauna and a steam room. Public transport is just 300 metres away. Hanover-Langenhagen Airport is 20 km away from the Radisson Blu. 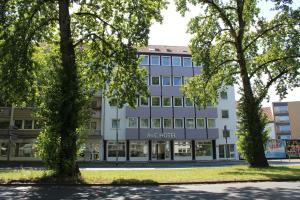 This hotel lies in the Langenhagen district of Hanover, 2 km from the A2 motorway. It offers free WiFi in all areas, and good connections to Hanover city centre and the exhibition grounds. All rooms at the ACHAT Premium Airport-Hannover are modern and include satellite TV and a private bathroom. The rooms are decorated on British, North African, Mediterranean or Mexican themes. A buffet breakfast is available each morning at the ACHAT Airport-Hannover. The restaurant serves Mediterranean specialities. The terrace is open in summer. The Langenhagen S-Bahn (city rail) station is a 5-minute walk from the ACHAT. 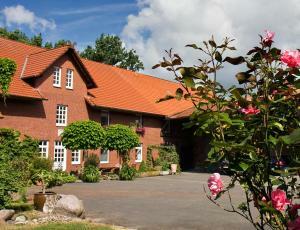 This bed and breakfast hotel is located just 600 metres from the Baroque Herrenhäuser Garden in north-west Hanover. It offers simple yet individually furnished rooms and an elegant breakfast restaurant. All rooms at the Garni Hotel am Schloss have a TV, a private bathroom and Wi-Fi internet access. Each morning, a varied breakfast buffet is prepared in the breakfast room. Free private parking is also provided by the Hotel am Schloss. Herrenhäuser Markt Tram Stop is 500 metres from the Hotel am Schloss. From here, Hanover University is a 7-minute tram ride. The centre is a 9-minute journey. This 2-star hotel in Hanover offers free Wi-Fi, air-conditioned rooms and a stylish lobby. It has direct access to the A2 motorway, just a 15-minute drive from the Hanover Trade Fair. The Premiere Classe Hannover feature bright rooms with a modern desk and a bathroom with rain shower. The One Lounge offers modern designer furniture. Snacks and drinks are served here, and a varied breakfast menu is also available. Oldenburger Allee tram stop is a 5-minute walk from the Premiere Classe Hannover. It connects you to Hanover Main Station in 20 minutes. This family-run hotel in Hanover offers free Wi-Fi and free public parking. 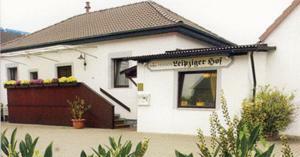 Hotel Flora is located at the Eilenriede city forest, a 10-minute walk from Hanover Main Station. Hotel Flora Hanover offers soundproofed rooms with private or shared shower and toilet facilities. Cable TV is available in all rooms. A full breakfast buffet is served each morning at the Flora. Hanover's city centre is just over a 15-minute walk away from Hotel Flora. Guests can go jogging in the Eilenriede forest. Hanover Zoo is just a 20-minute walk away. There is a bus stop directly at the hotel, offering good connections to the AWD-Arena. A 24-hour front desk, free on-site parking and free Wi-Fi are offered at this quietly located hotel in Rethen. Hannover Exhibition Grounds are just a 5-minute drive away. Rooms at the Bouzid Fairrooms - Laatzen are decorated in bright colours and feature parquet floors. Comforts include satellite TV, a seating area and a private bathroom with a hairdryer. A selection of pillows are available on request. A complimentary bottle of water is also provided. Guests can also enjoy breakfast in the breakfast hall in the morning. This breakfast hall can also be booked for events, and catering can be provided on request. Bouzid Fairrooms – Laatzen are approximately 14 km from Hannover city centre, whilst Rethen S-Bahn Train Station is a 7-minute walk away. Located in the centre of Eilenriede, the “green heart” of the state capital of Hanover, this hotel provides a convenient central situation yet is in a peaceful setting. Here, you are living in an idyllic site on the edge of a wooded forest yet are only a few minutes away from the city centre, which can easily be reached via car or public transport. This is also a popular stop for cyclists and pedestrians in the Eilenriede Park, Hanover’s city gardens. In the restaurant and beer garden area you have free wireless internet access. The restaurant offers seasonal and international cuisine. This stylish hotel is a 7-storey building in central Hanover, 300 metres from Hanover Main Station. The Smartcity Designhotel offers a 24-hour cocktail bar and spacious rooms with panoramic views. Newly opened in August 2012, the bright rooms and suites at the Smartcity Hannover feature high-quality furniture from renowned designers. All rooms include a modern bathroom, and a flat-screen TV with free Sky satellite channels. A hearty breakfast buffet is served daily from 06:30 until 10:30. Classic Italian cuisine is served in the spacious l’Osteria restaurant. The Smartcity is 200 metres from the Staatsoper Hannover opera house. It takes just 10 minutes to reach the Hanover Exhibition Centre by public transport. The hotel has an underground parking garage. The 24-hour reception offers rental bikes for exploring Hanover. The hotel was built between 1951 and 1953 in the contemporary style of that time. One of the most prominent attractions was the film studio on the ground floor. In 2005, the first opera ever performed in a hotel took place at the Cityhotel am Thielenplatz which adds to the hotel’s cult status.